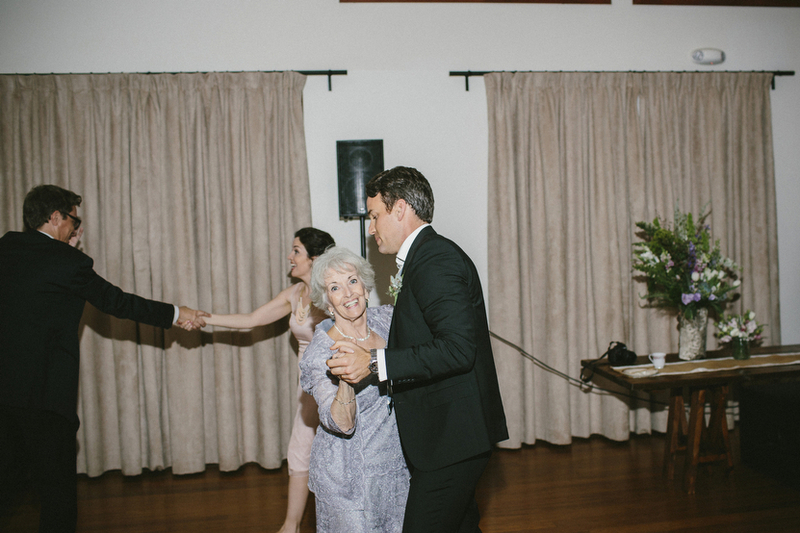 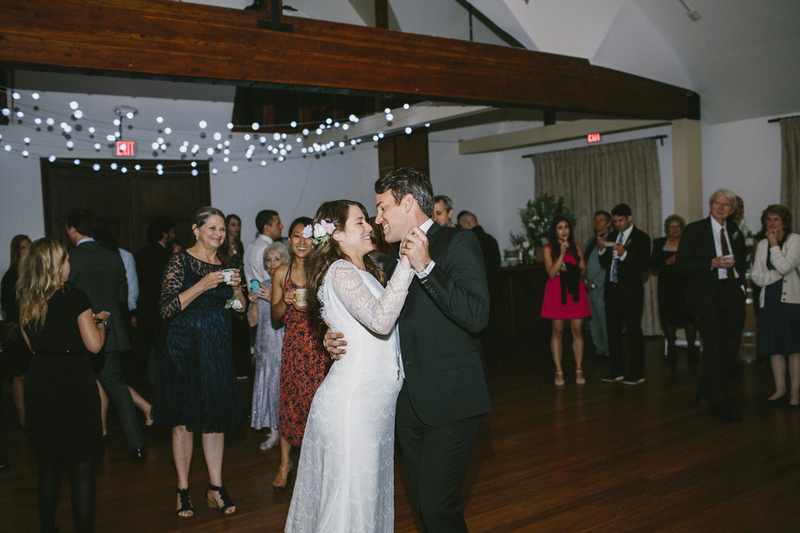 We love, love, love Bristol + John! 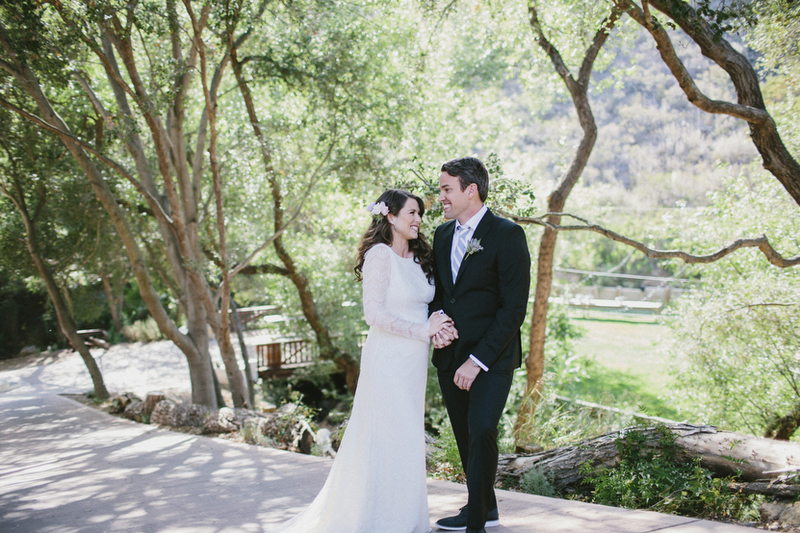 Both in education, they planned their intimate wedding in just two months to fall during their summer vacation and also while Bristol was only 6 months pregnant. 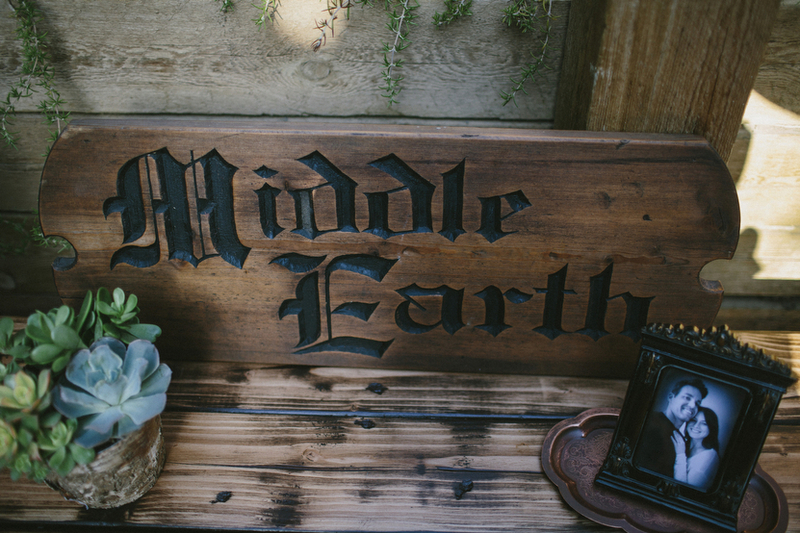 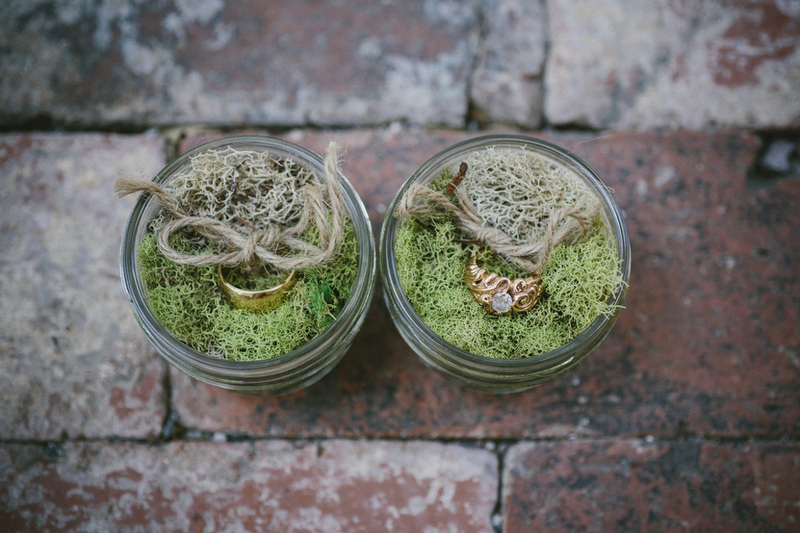 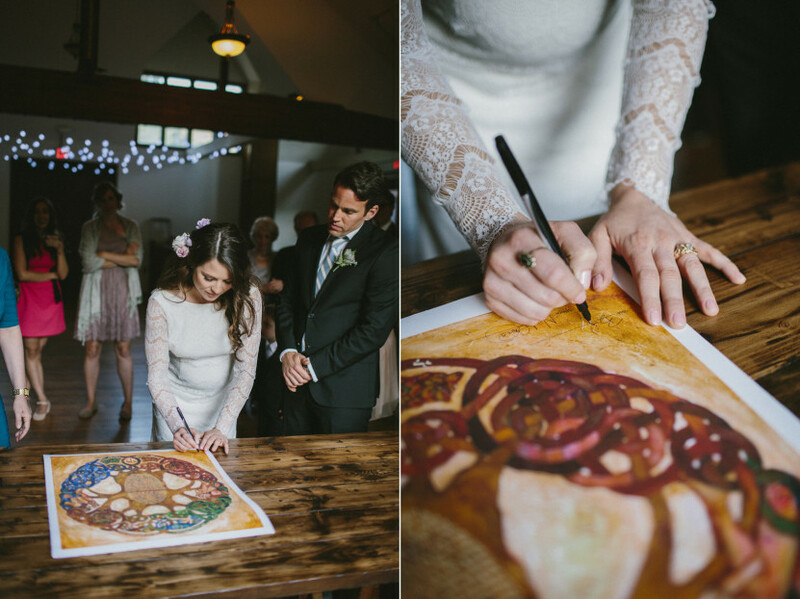 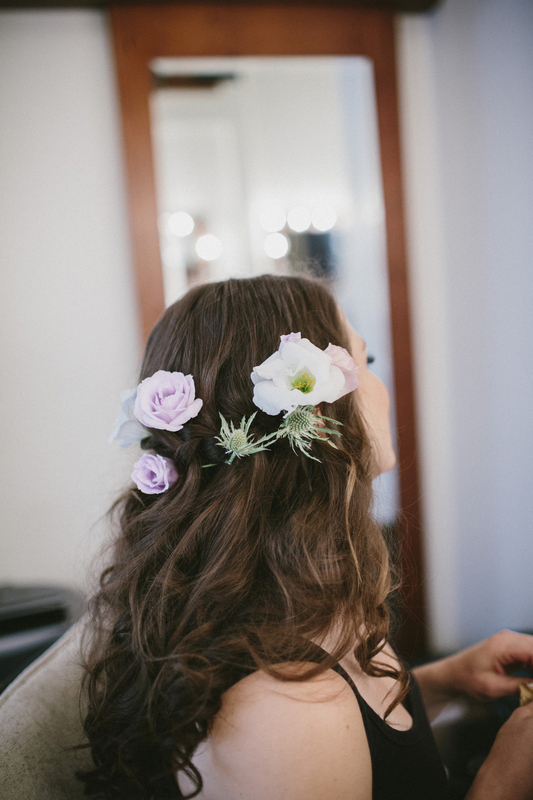 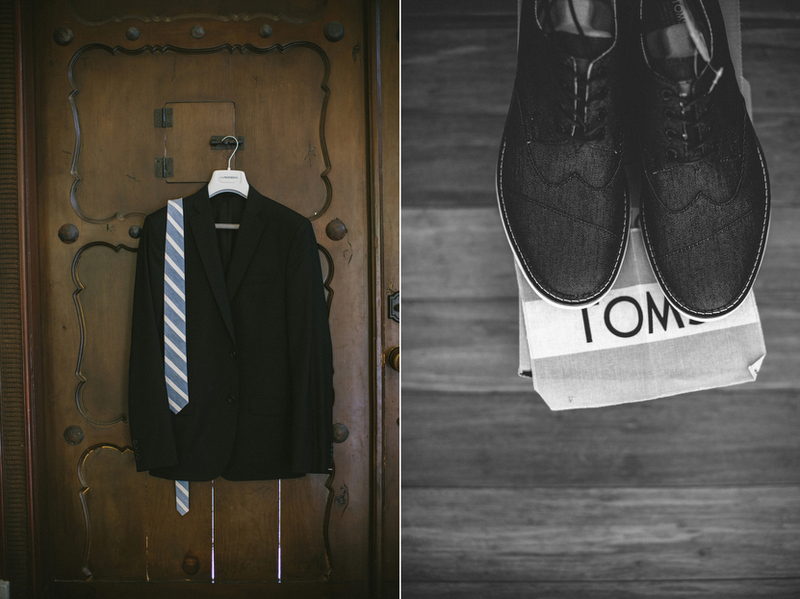 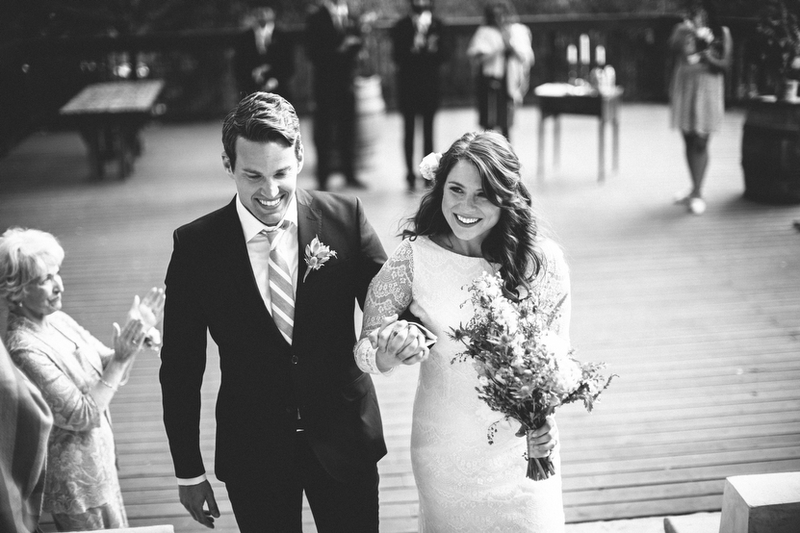 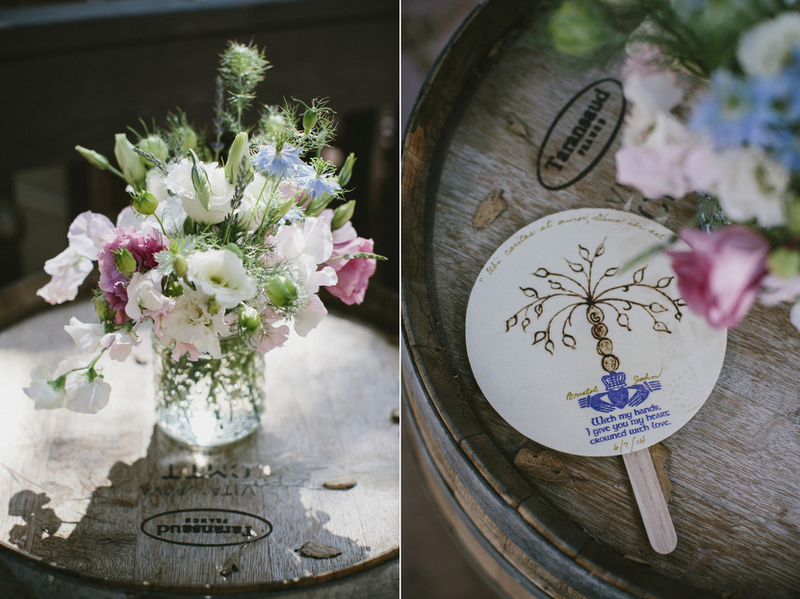 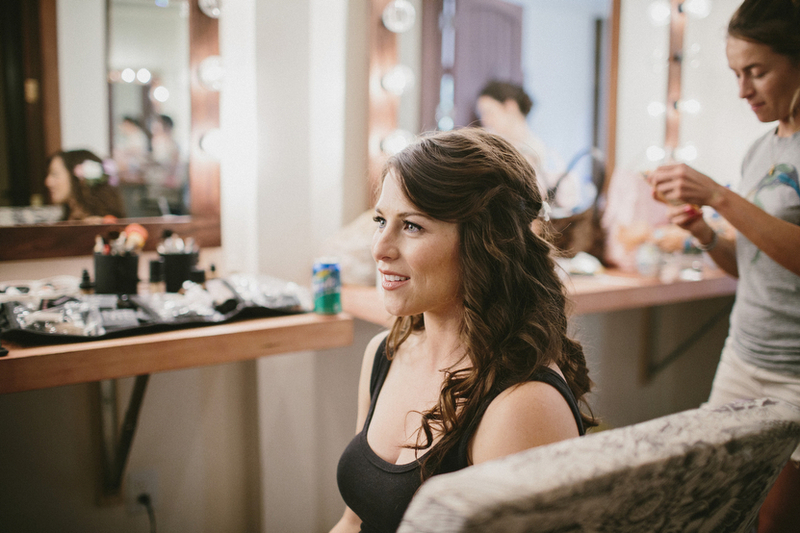 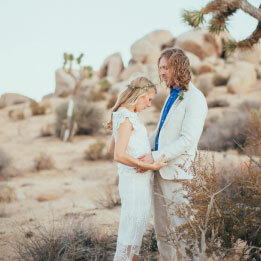 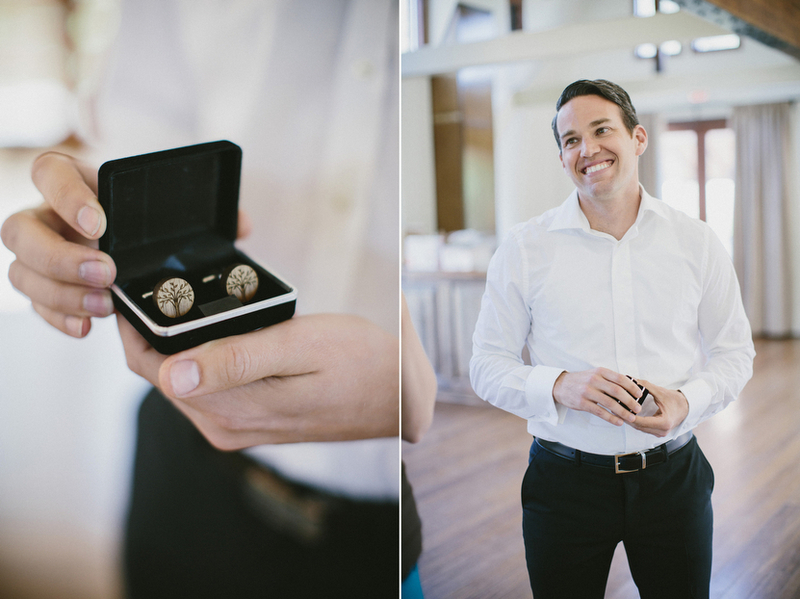 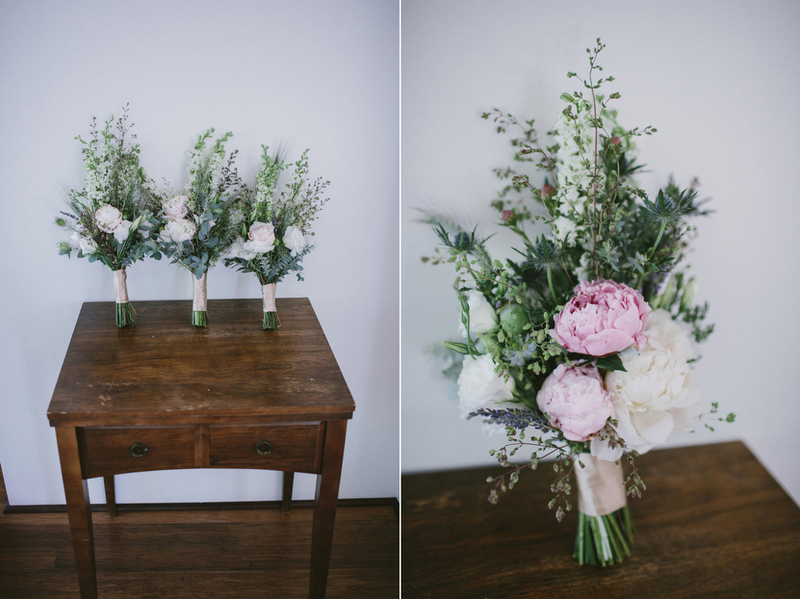 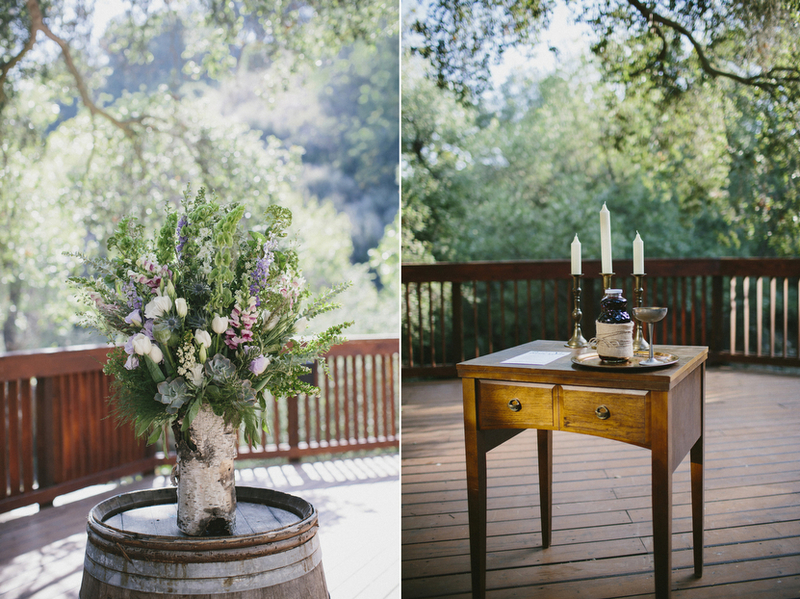 Rustic and romantic with lots of warm personal touches, their wedding just matched them perfectly. 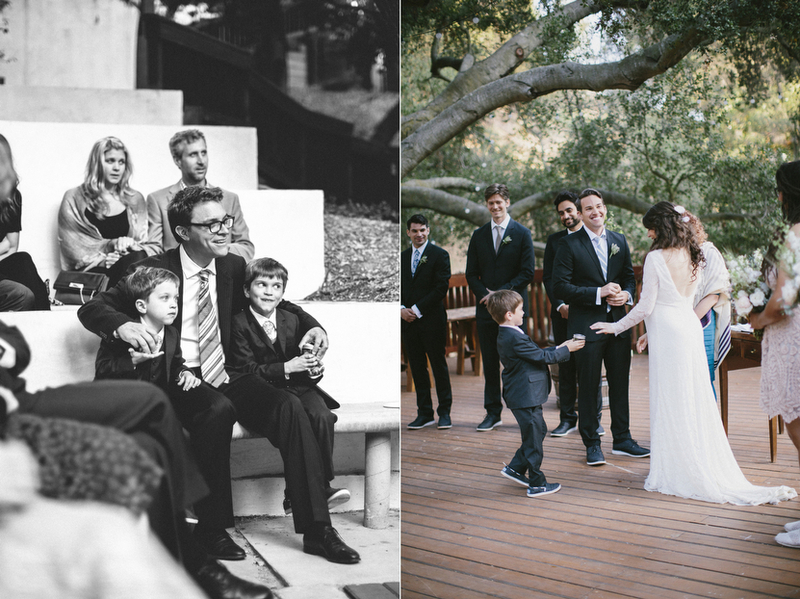 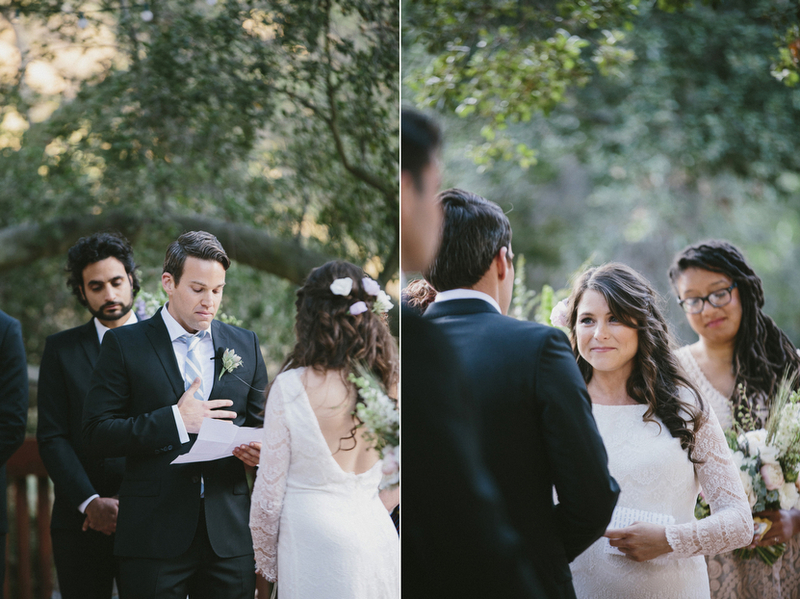 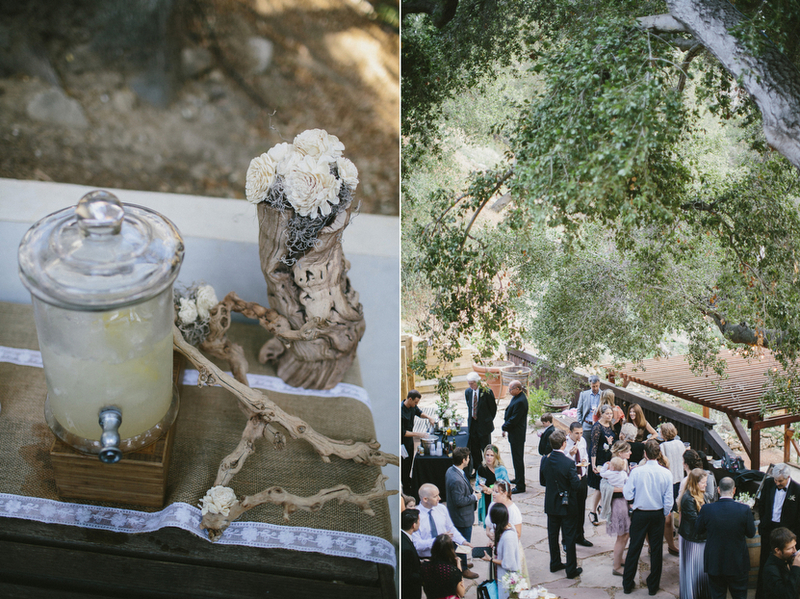 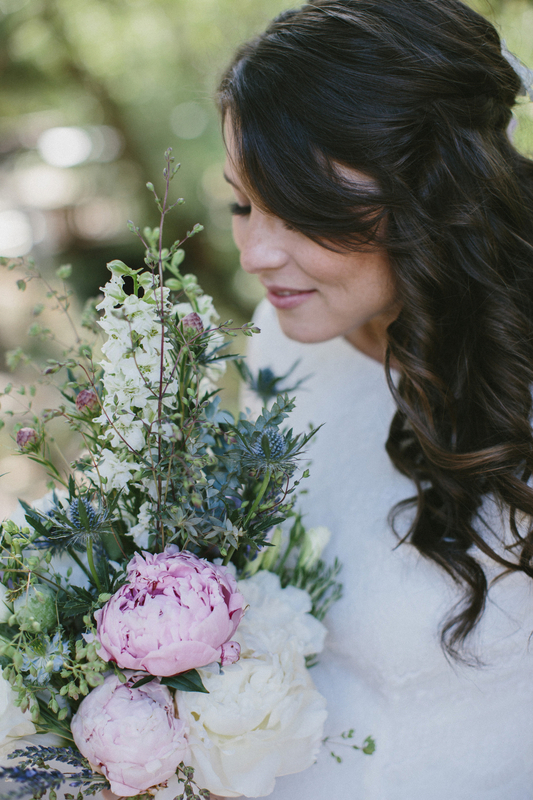 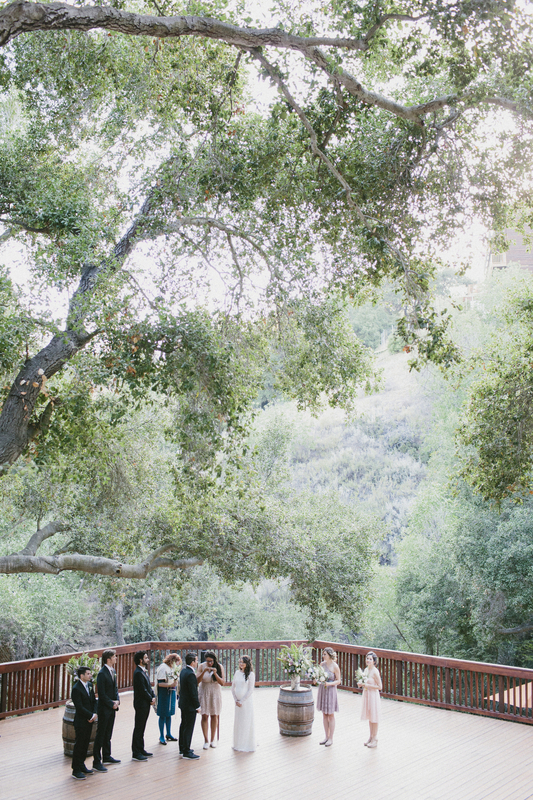 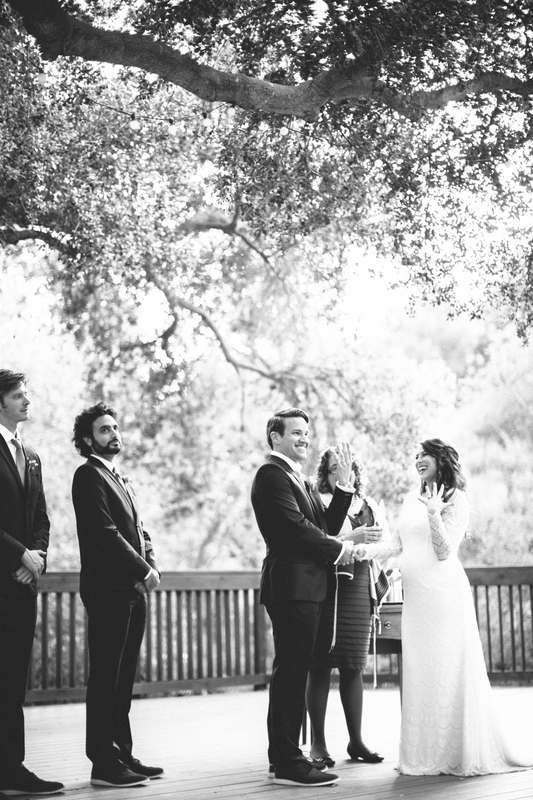 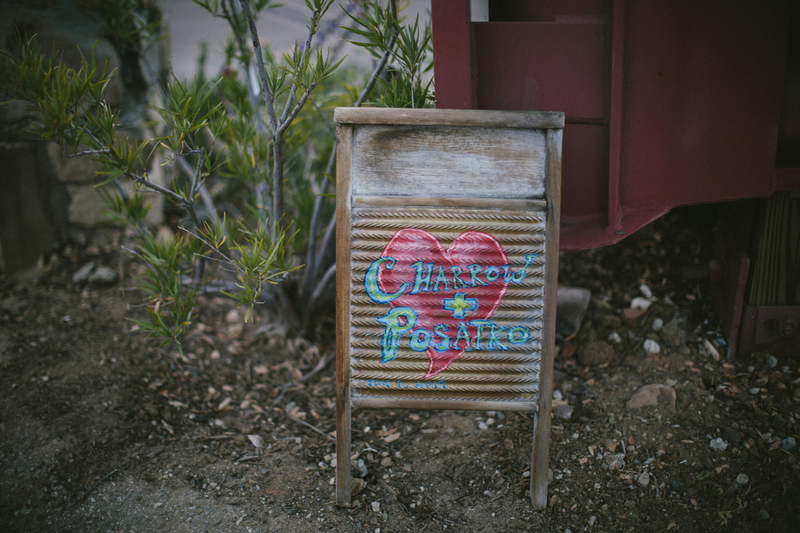 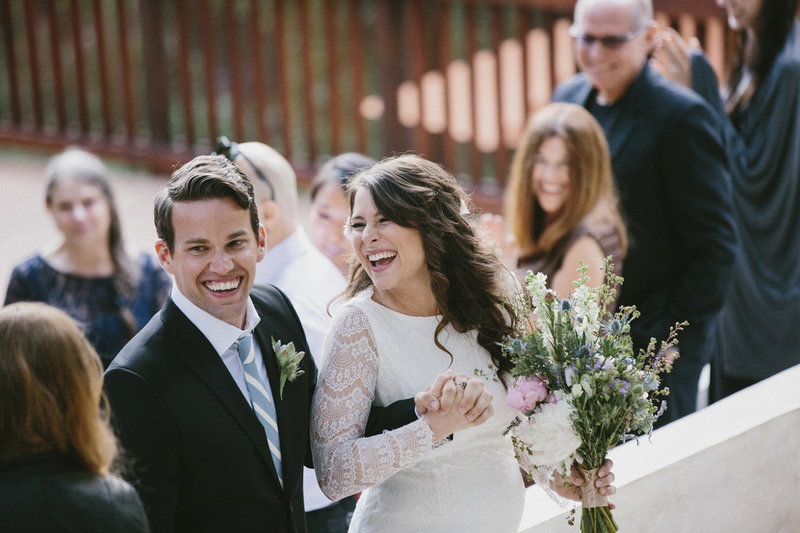 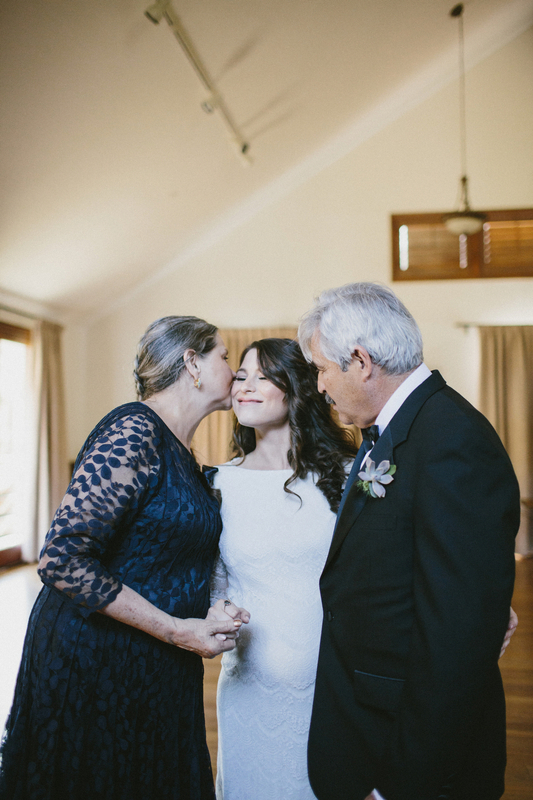 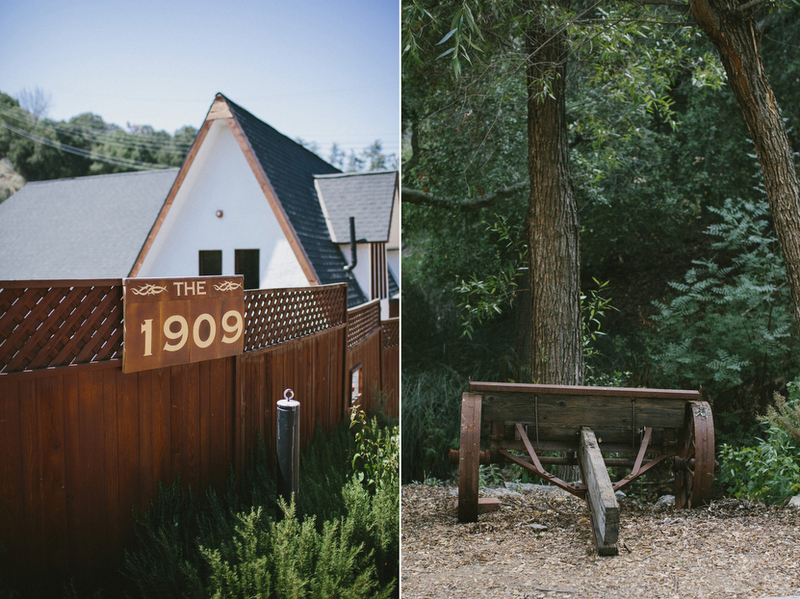 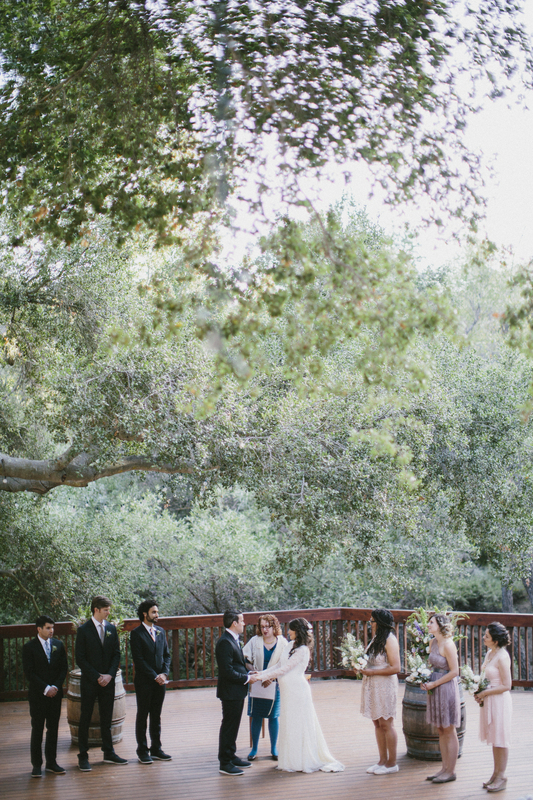 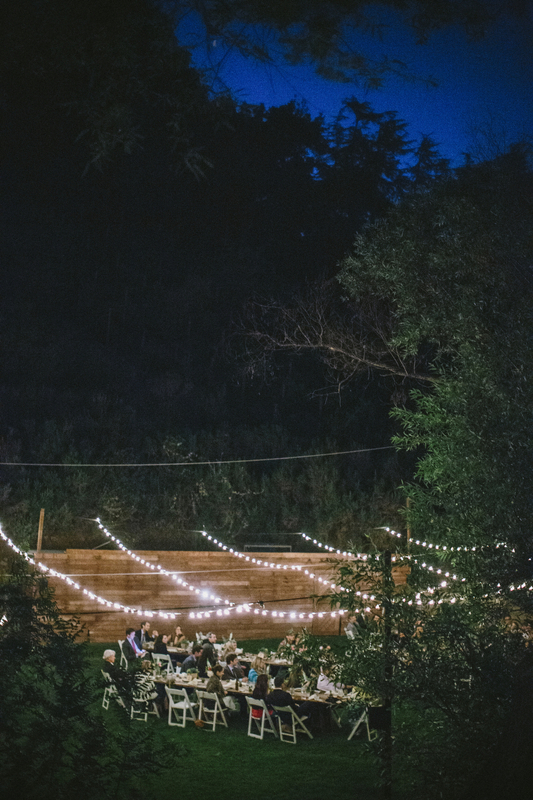 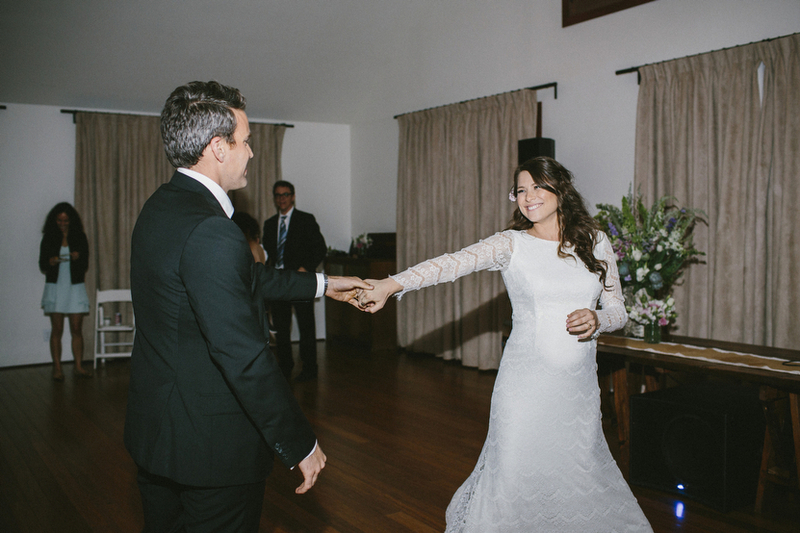 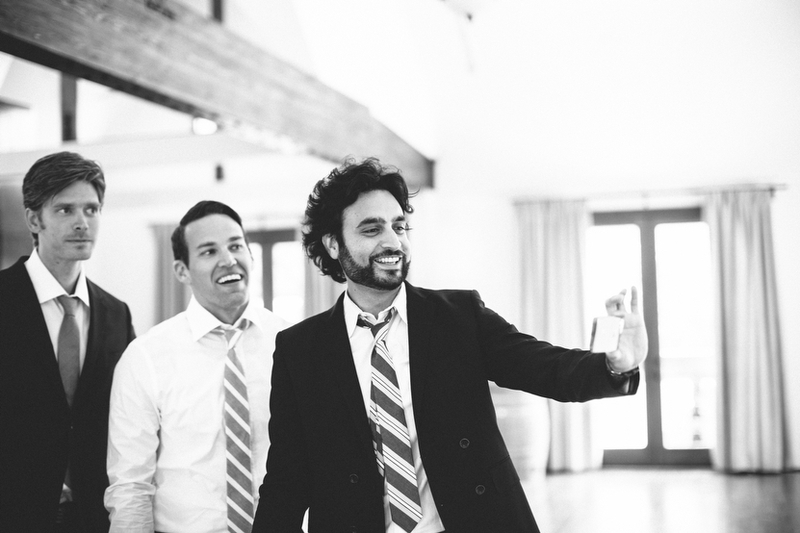 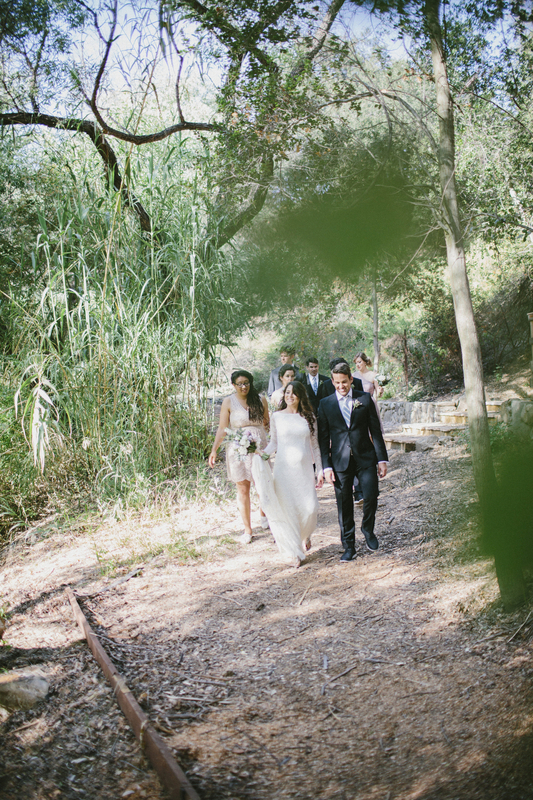 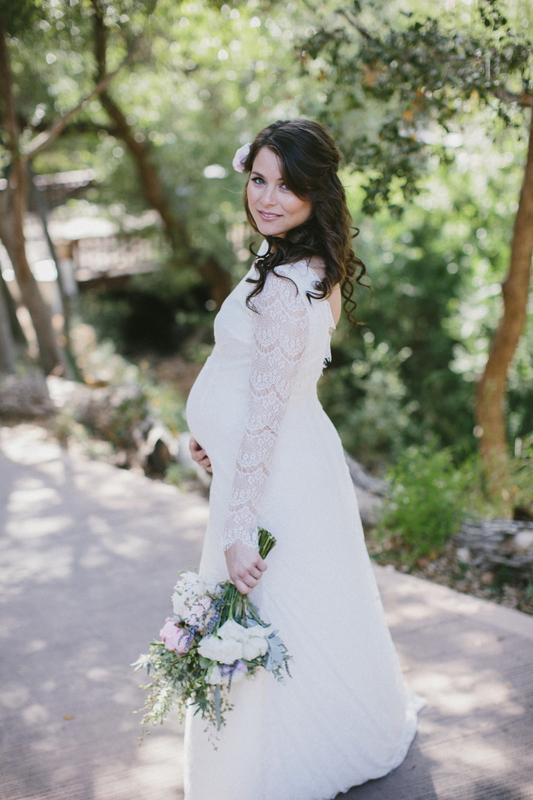 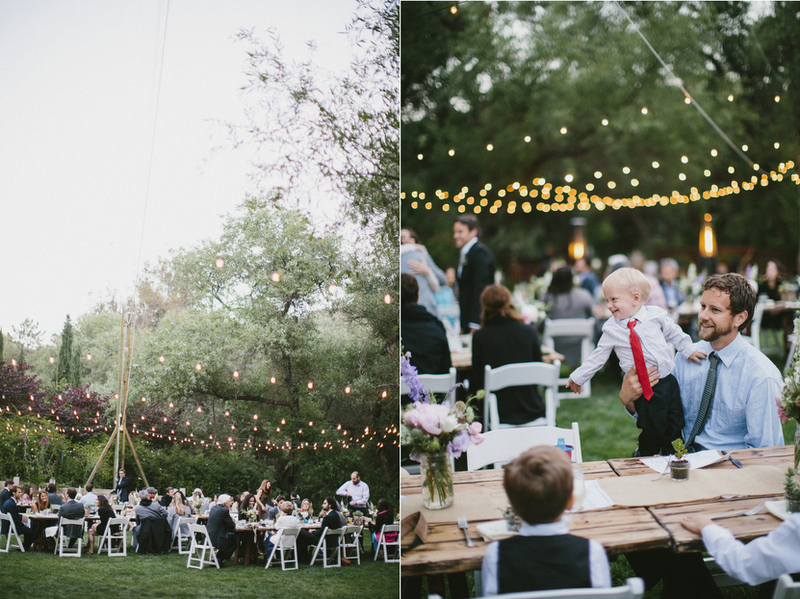 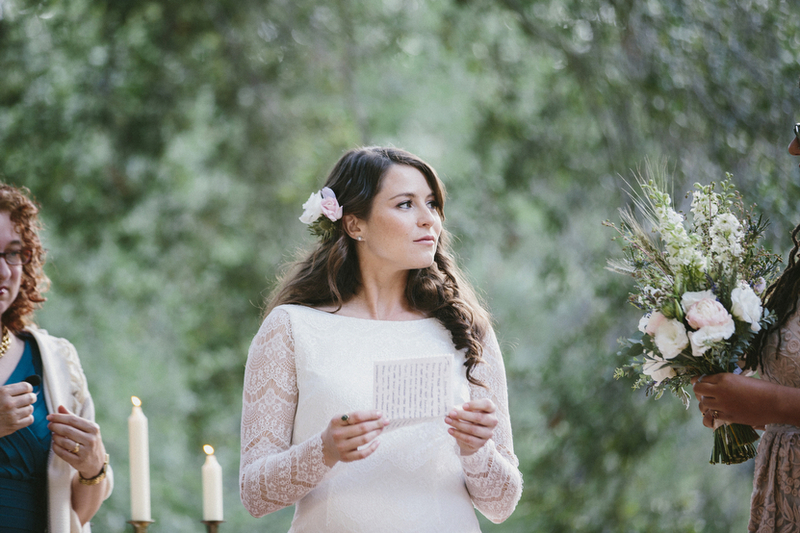 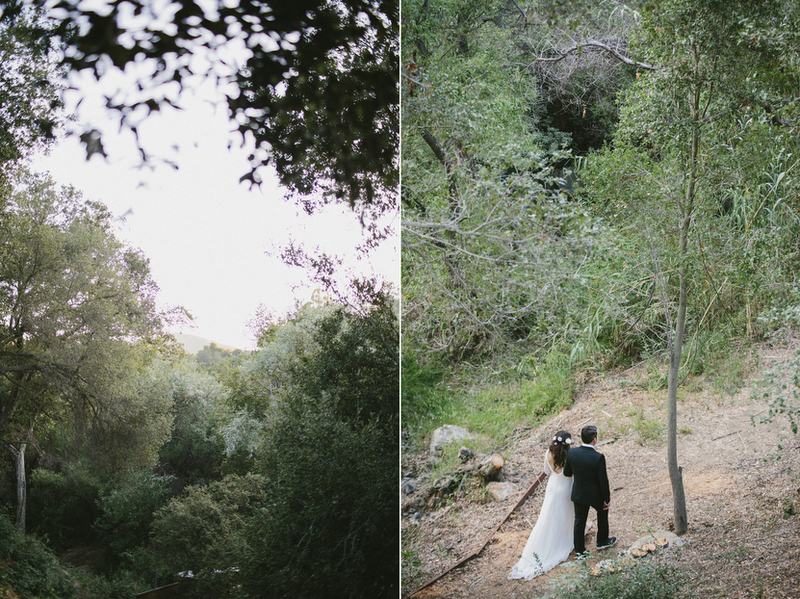 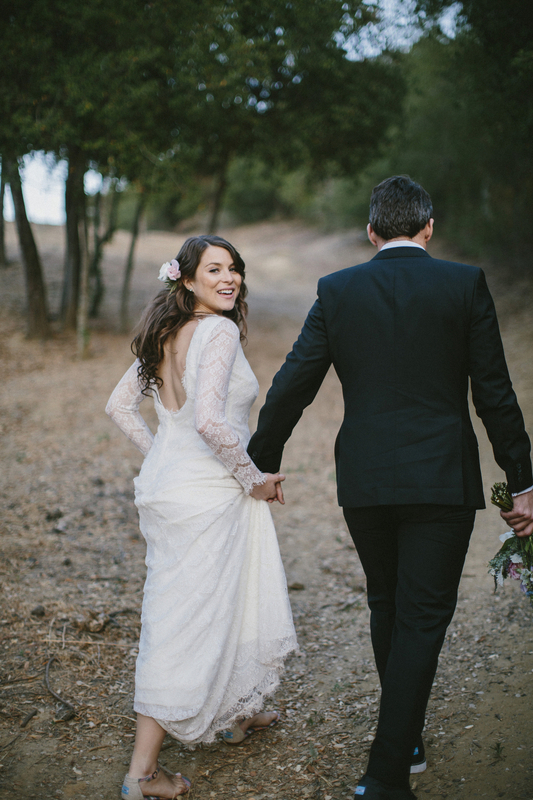 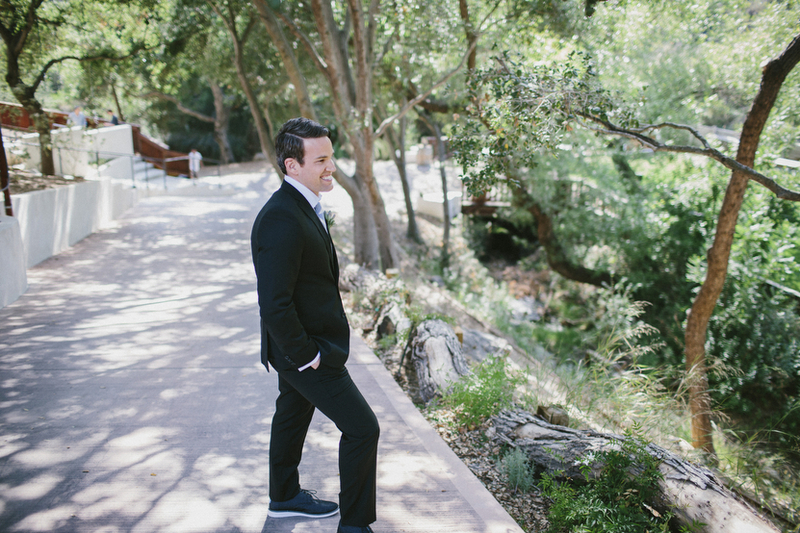 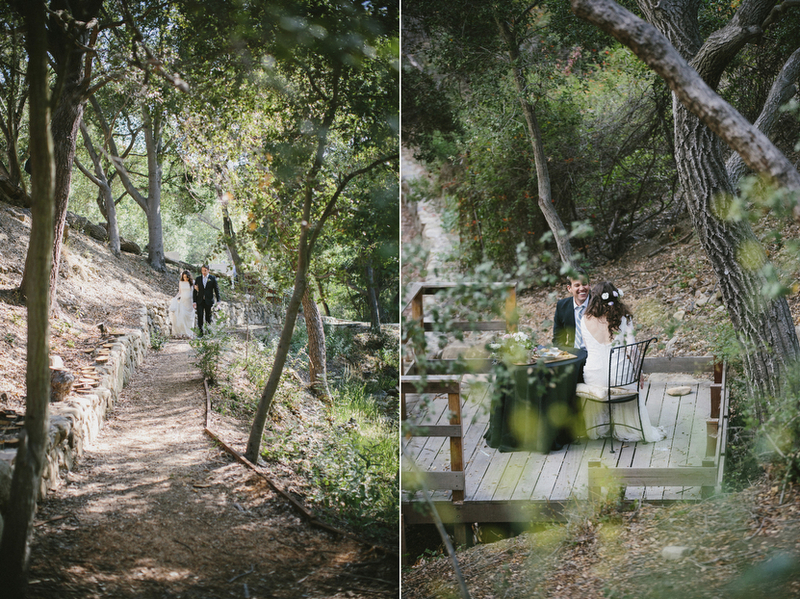 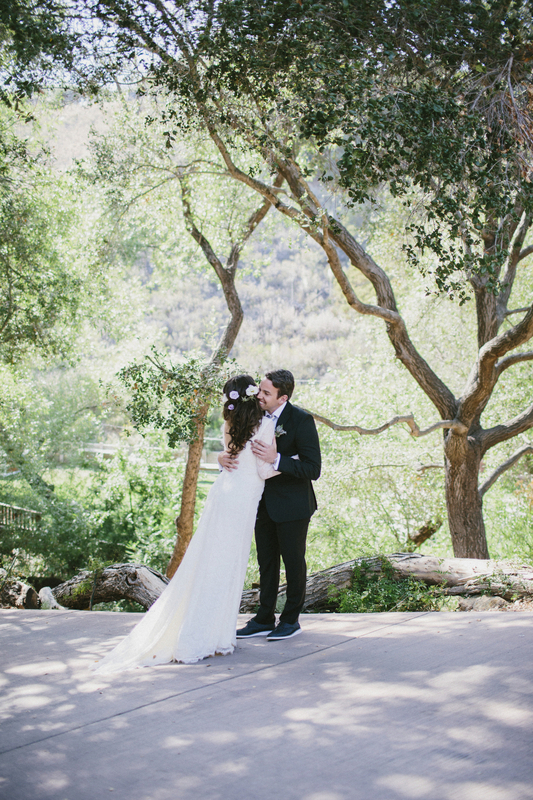 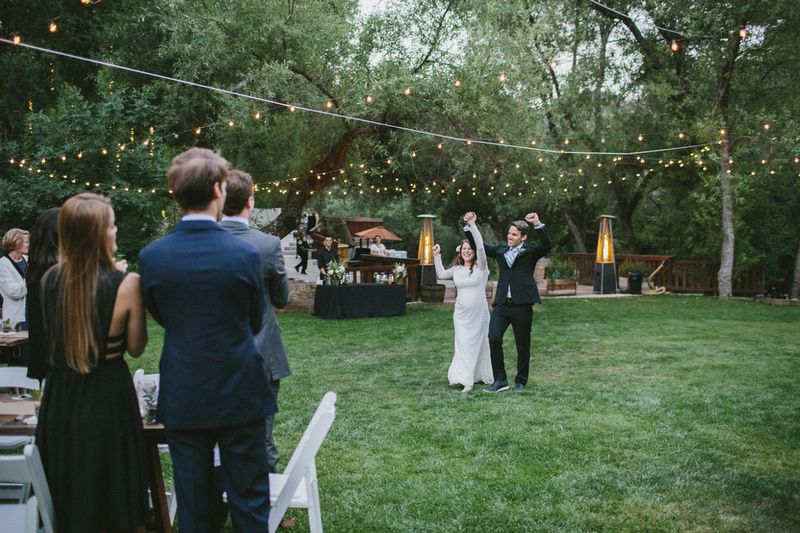 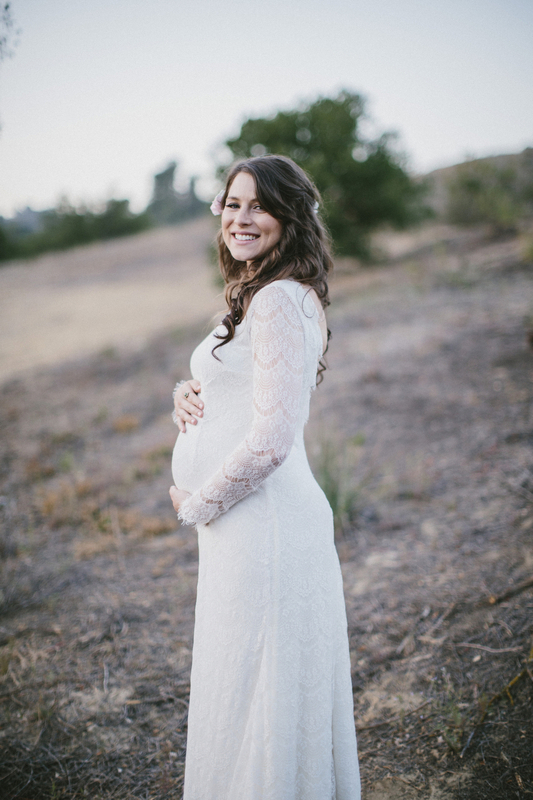 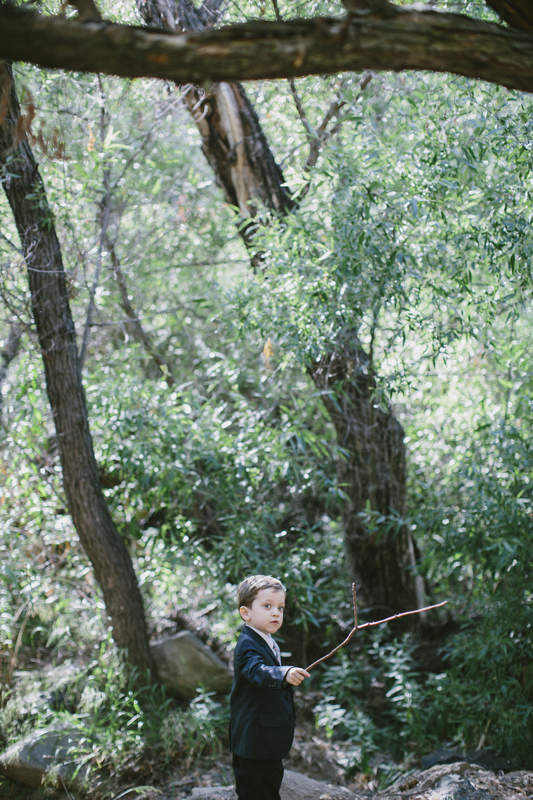 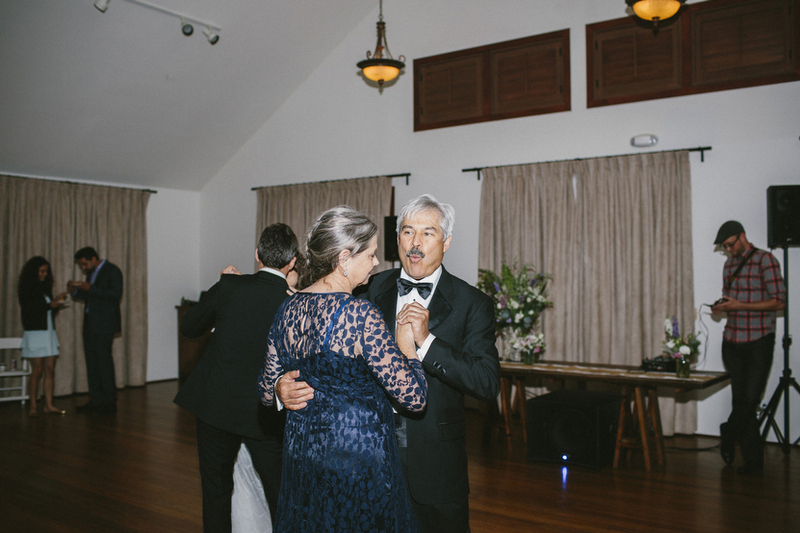 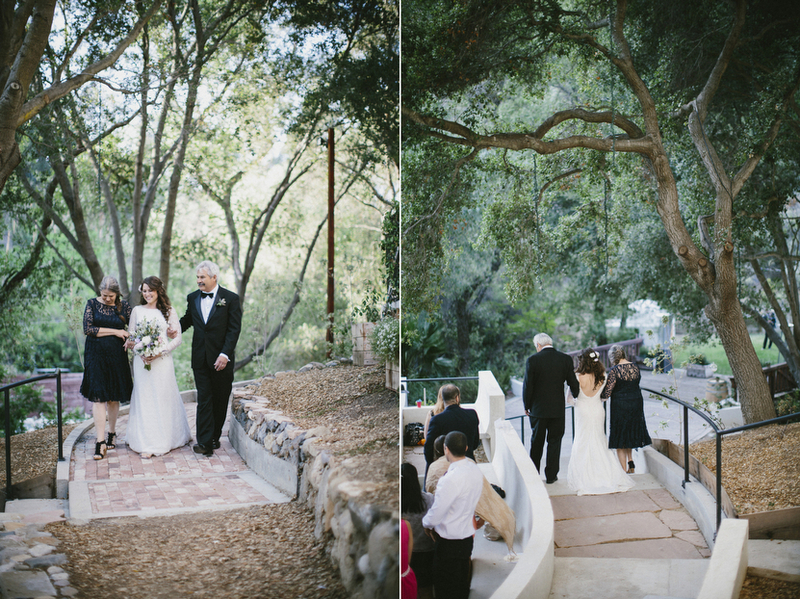 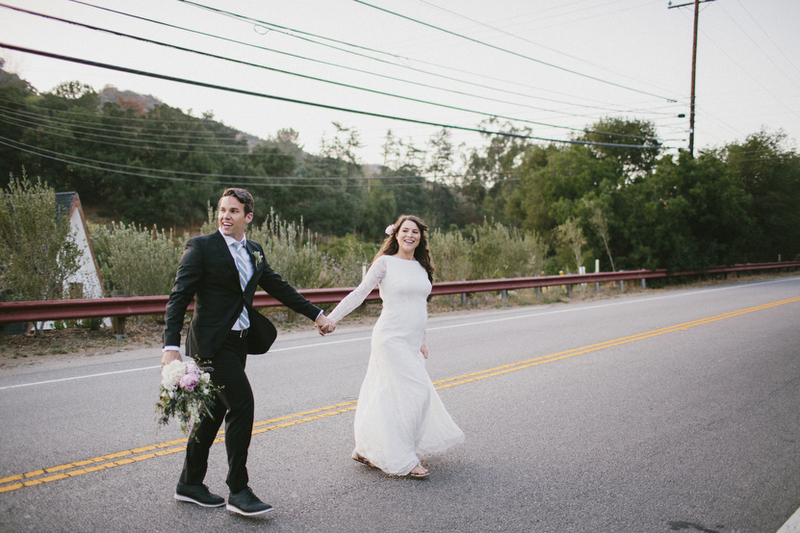 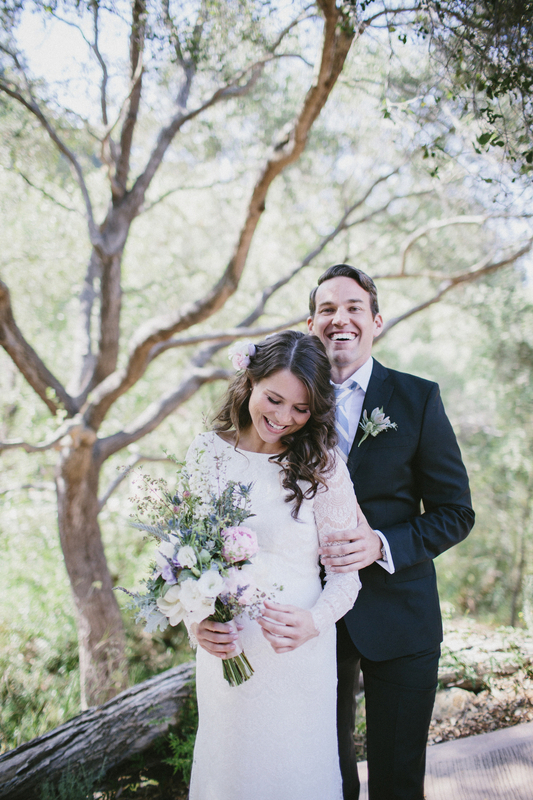 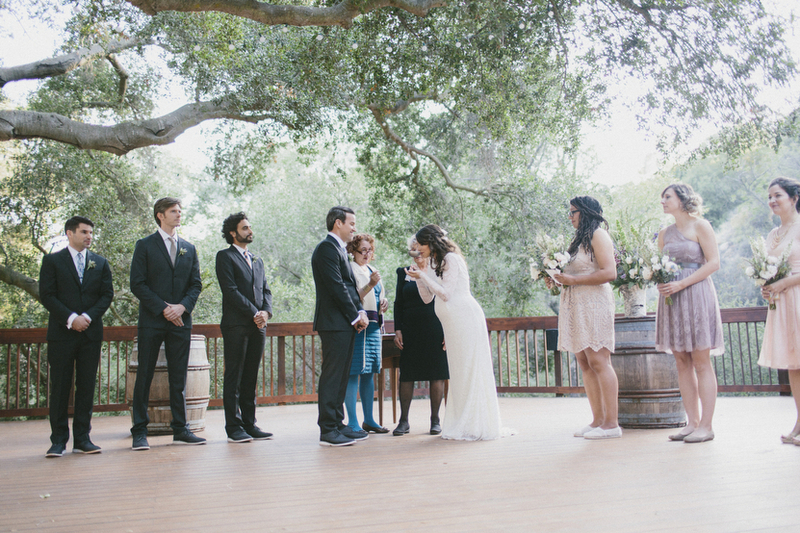 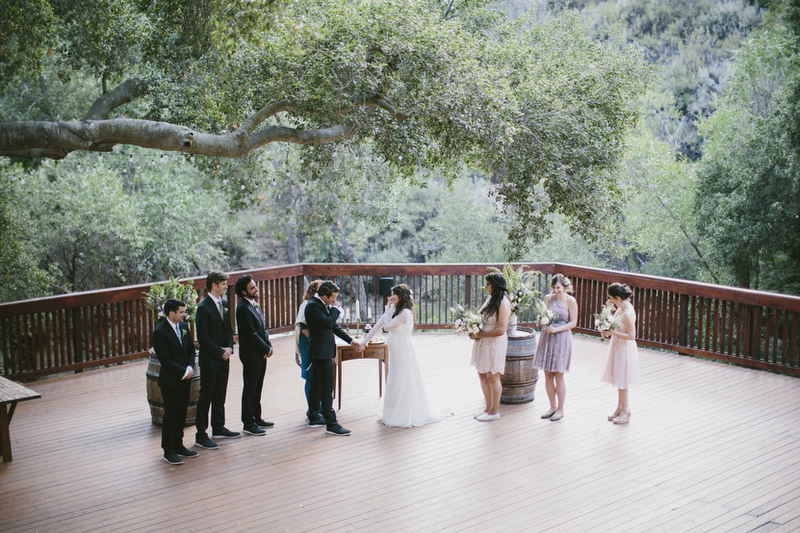 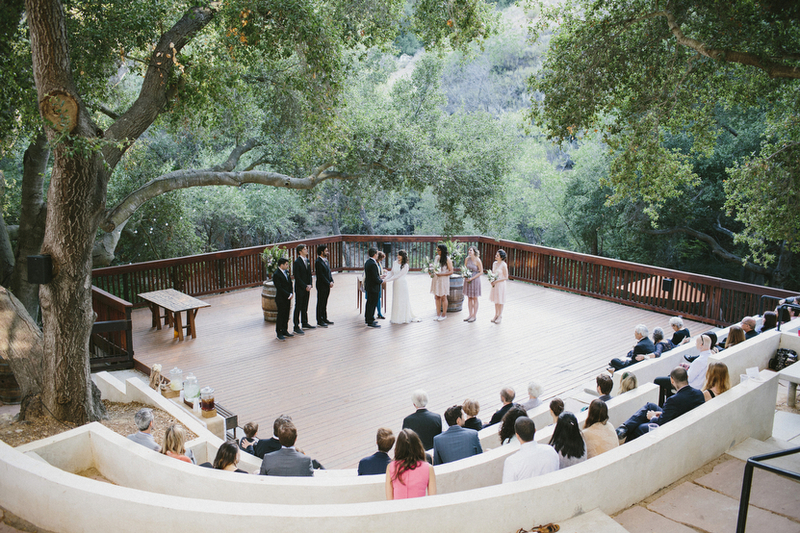 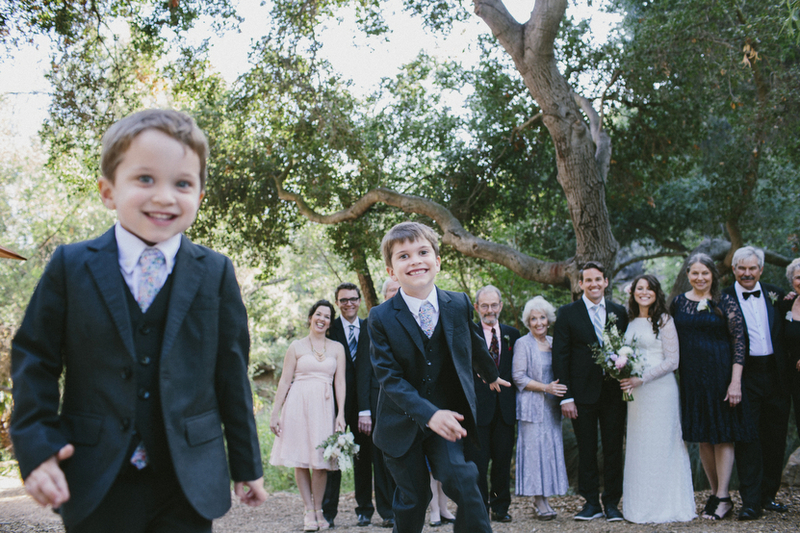 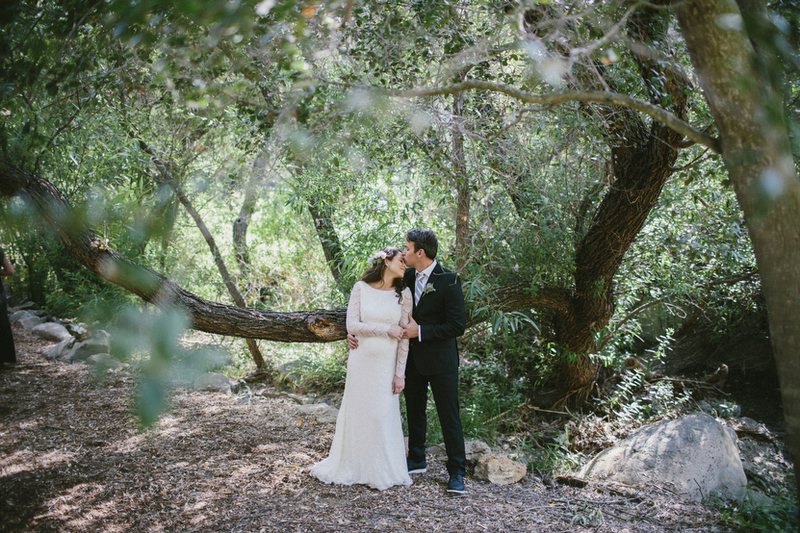 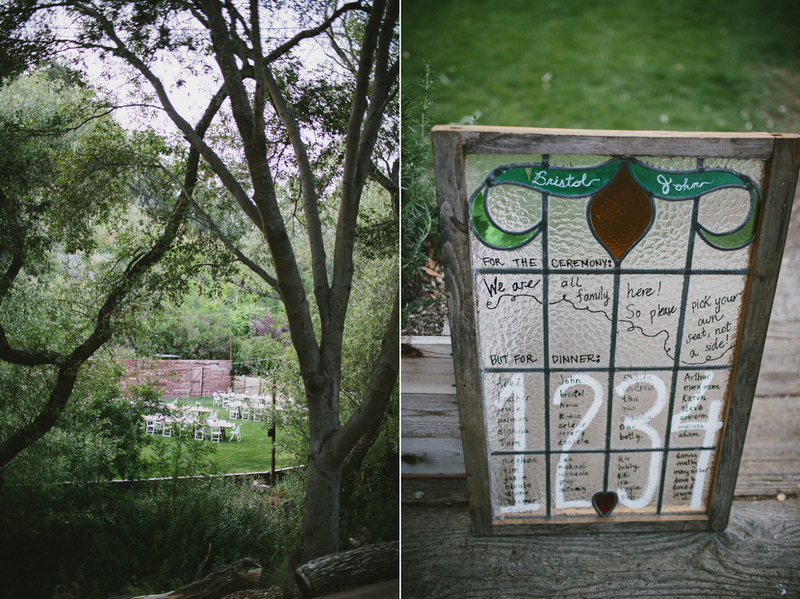 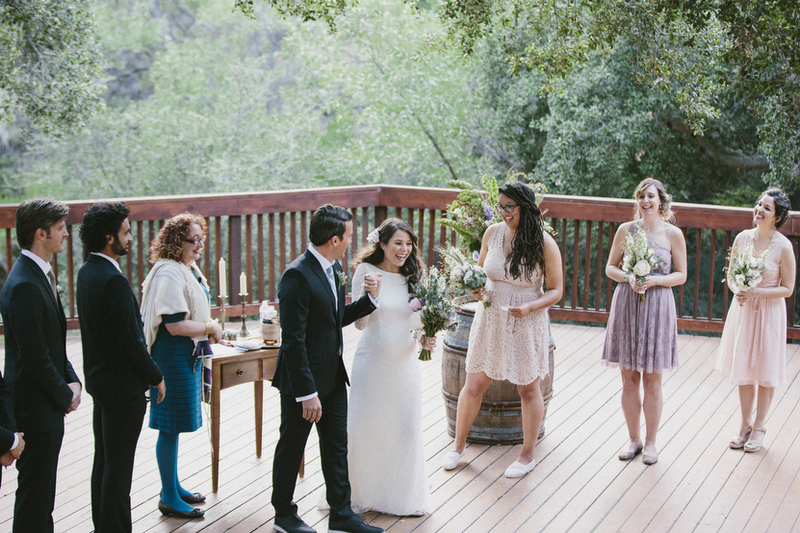 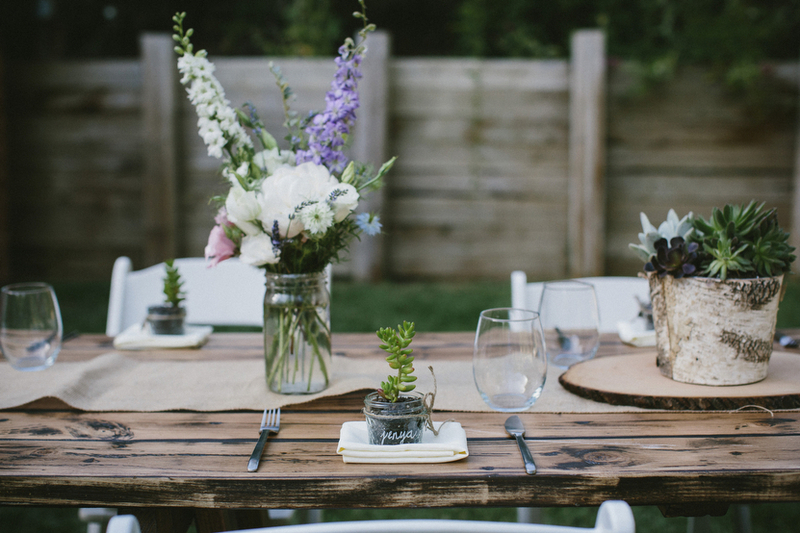 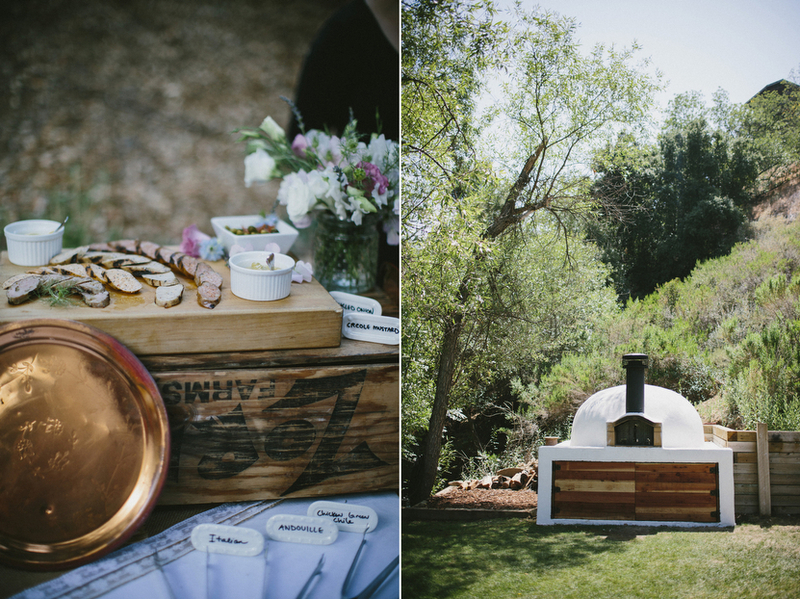 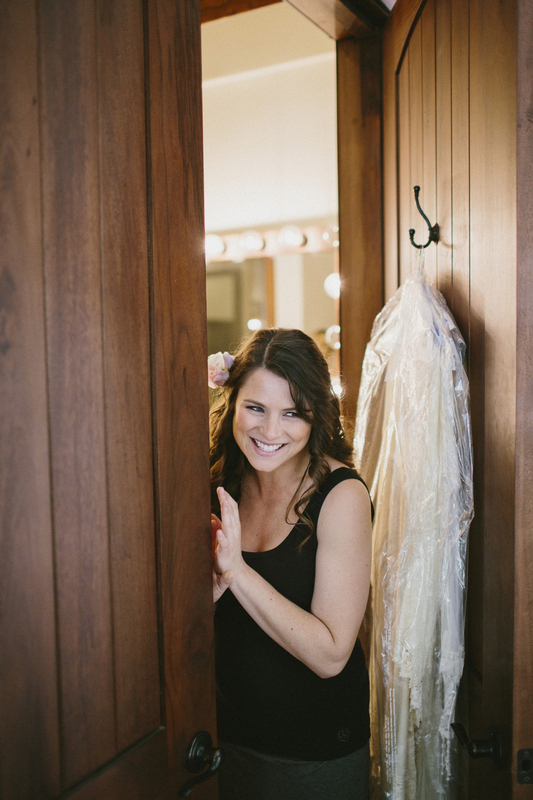 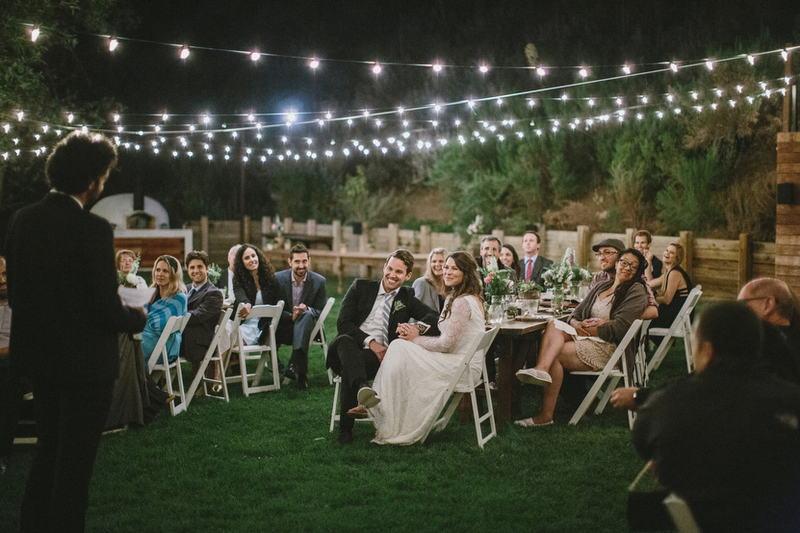 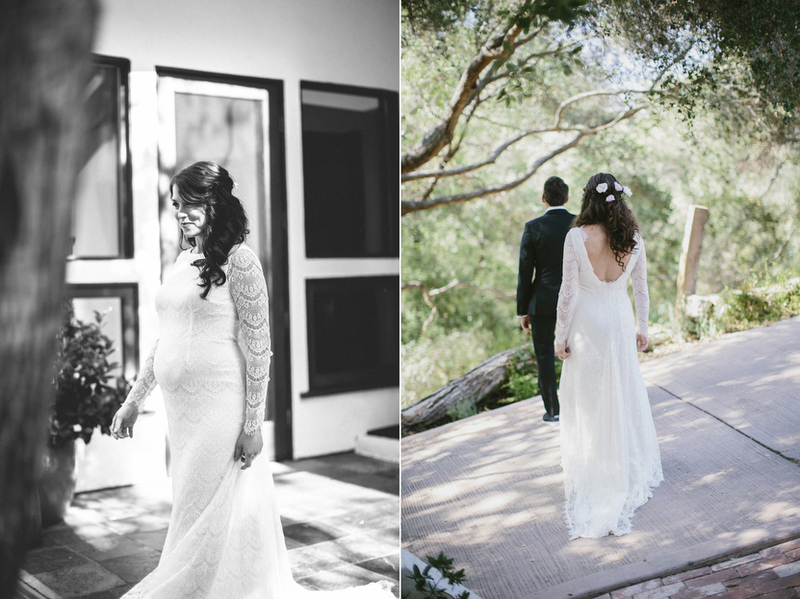 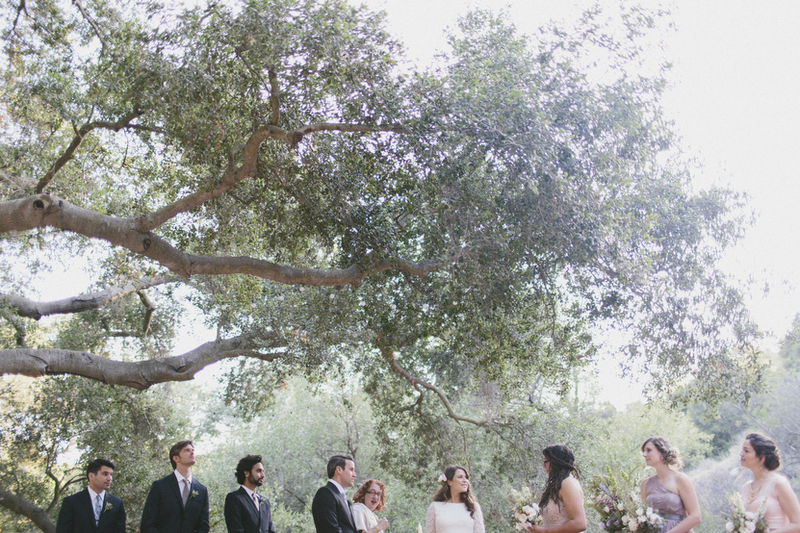 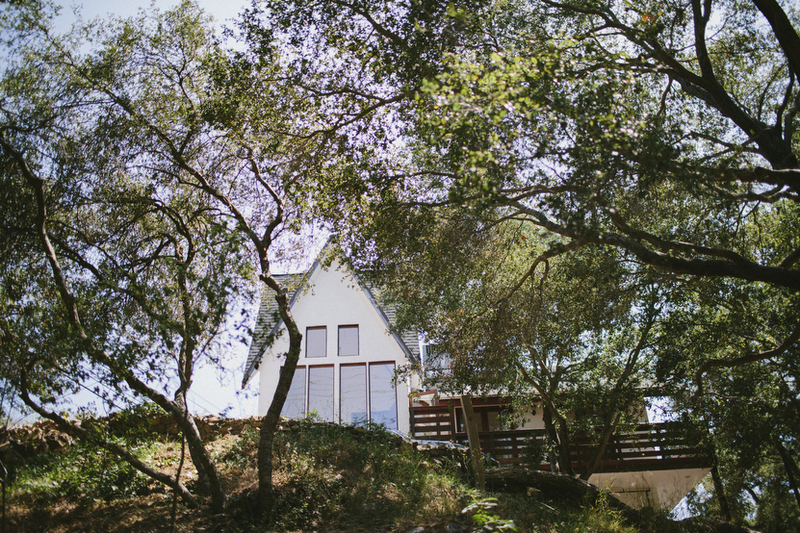 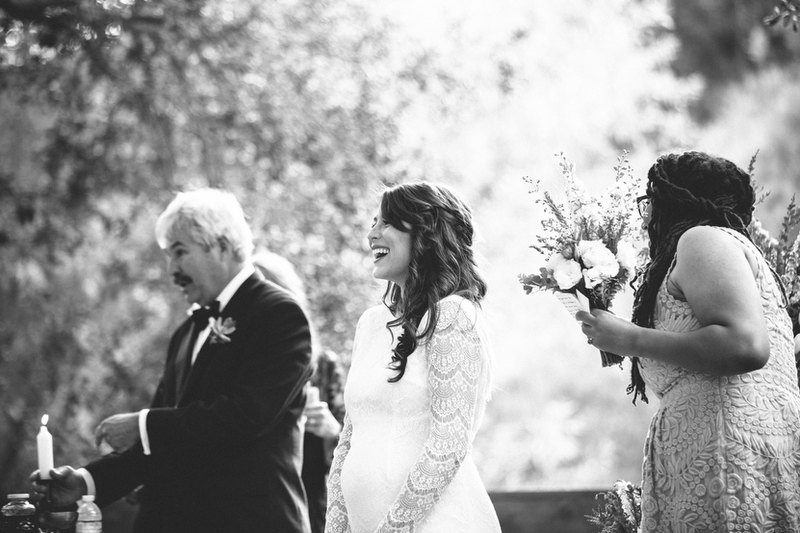 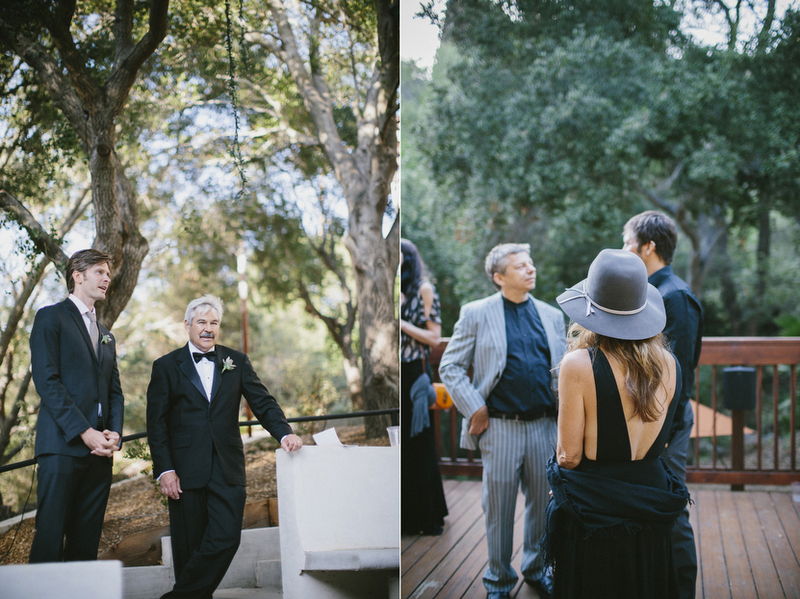 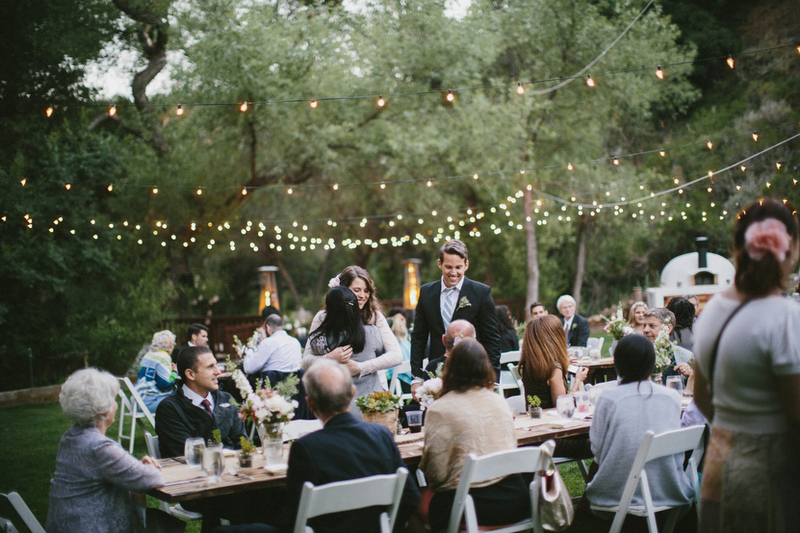 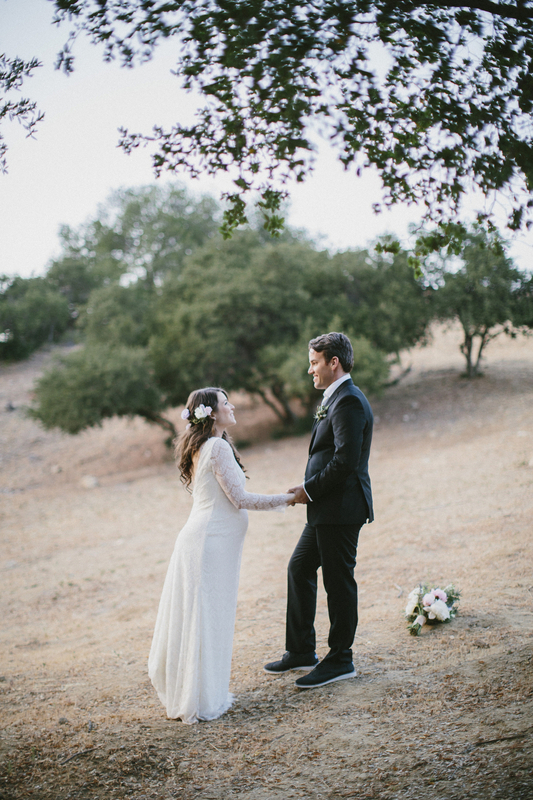 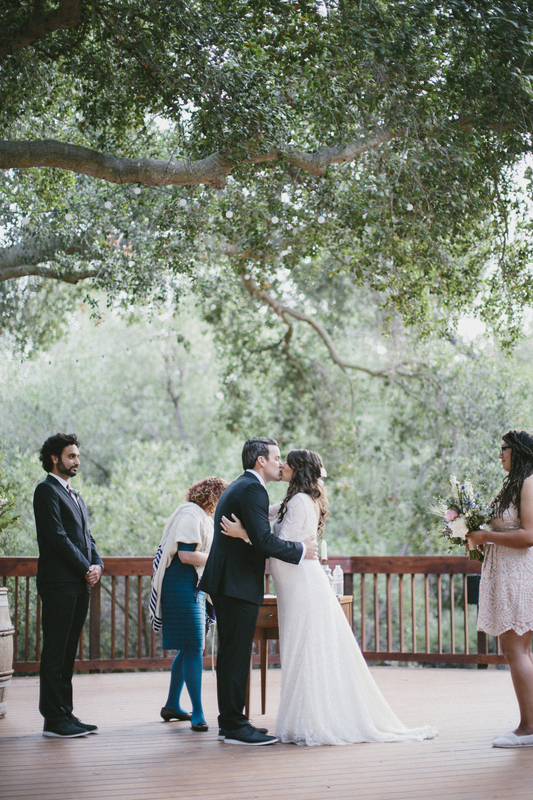 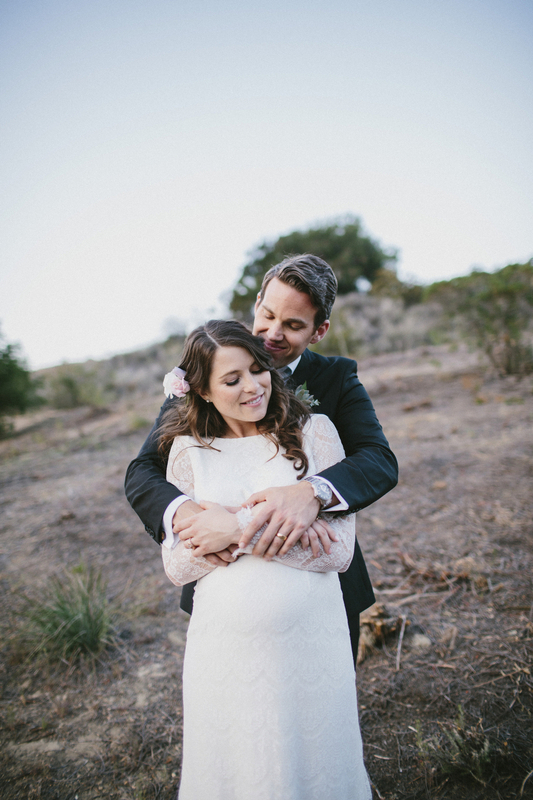 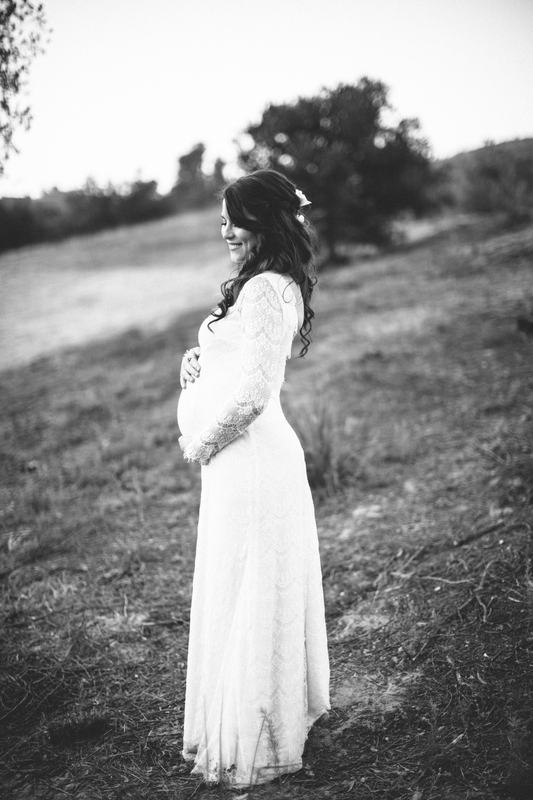 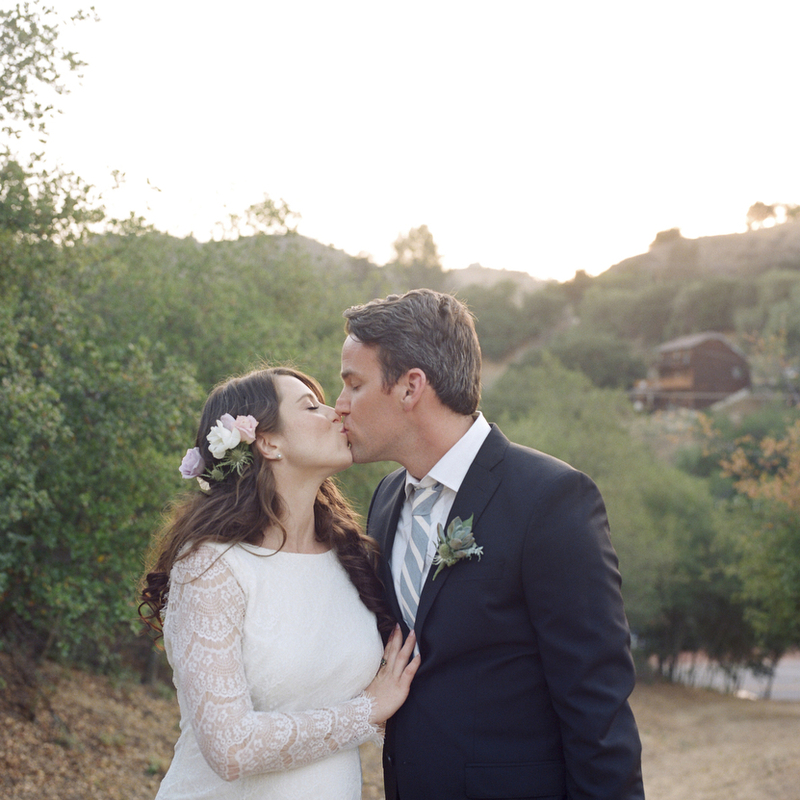 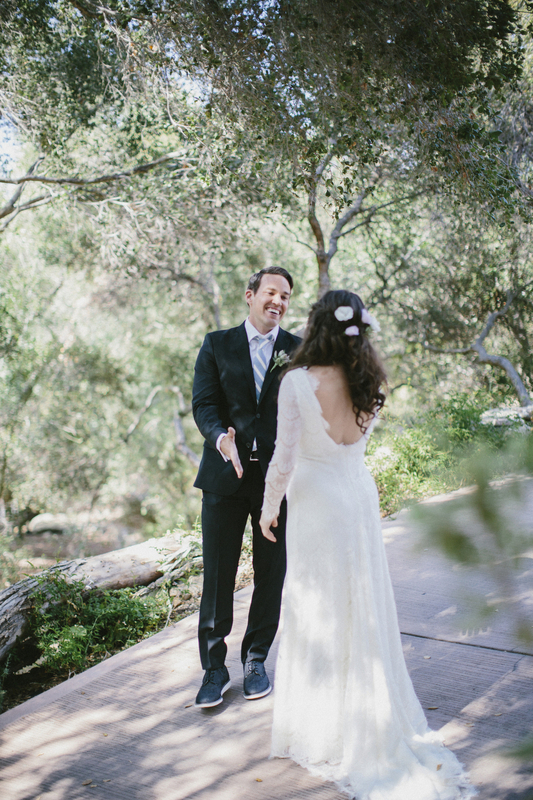 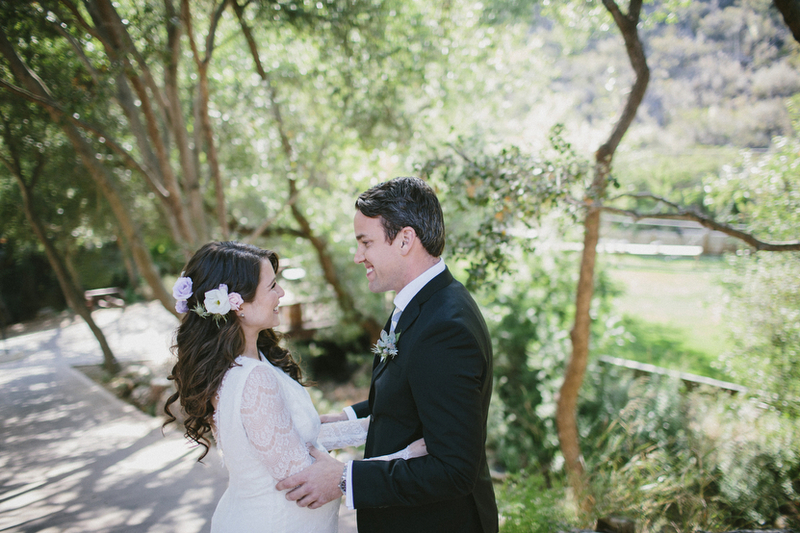 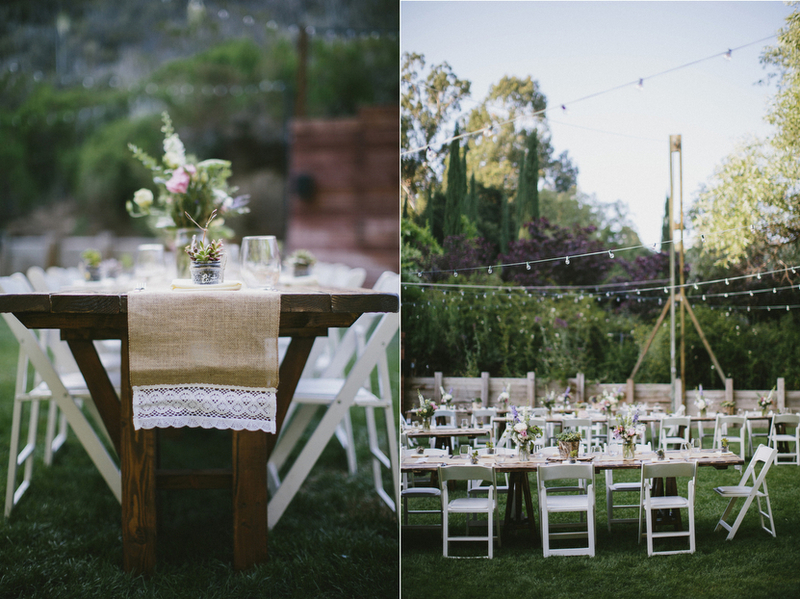 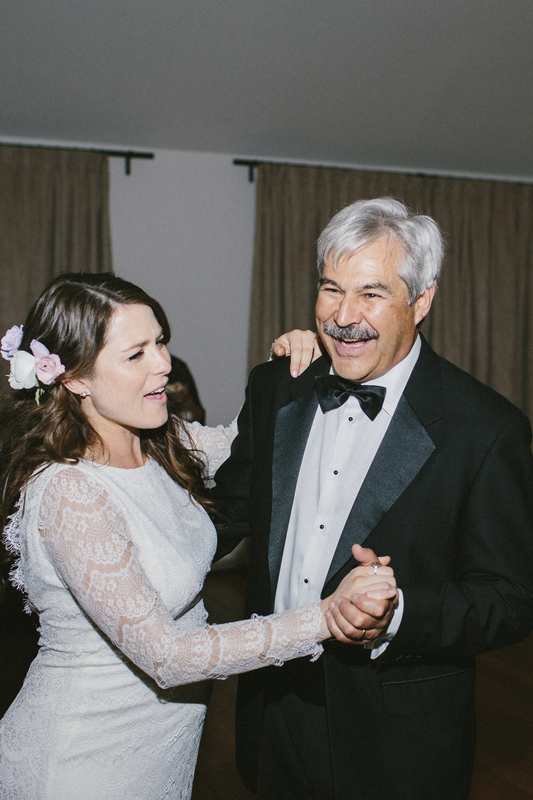 The venue is a new fave, The 1909, a house in Topanga with gorgeous tree-lined grounds. 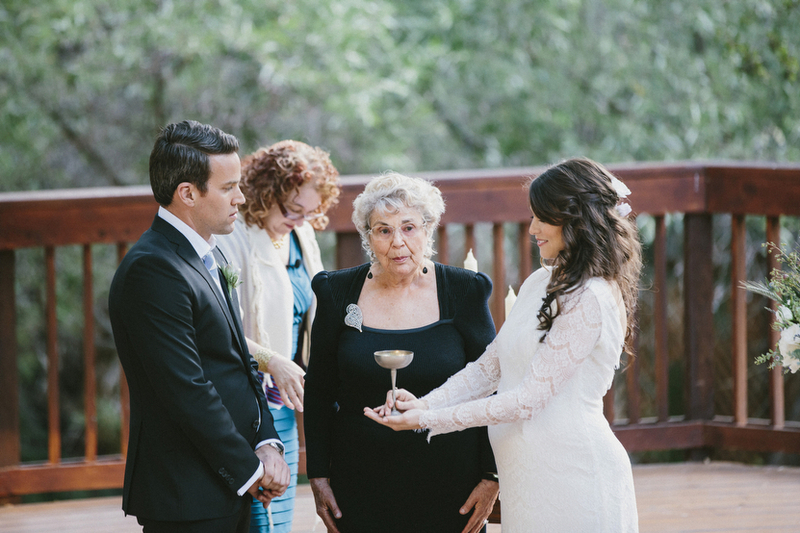 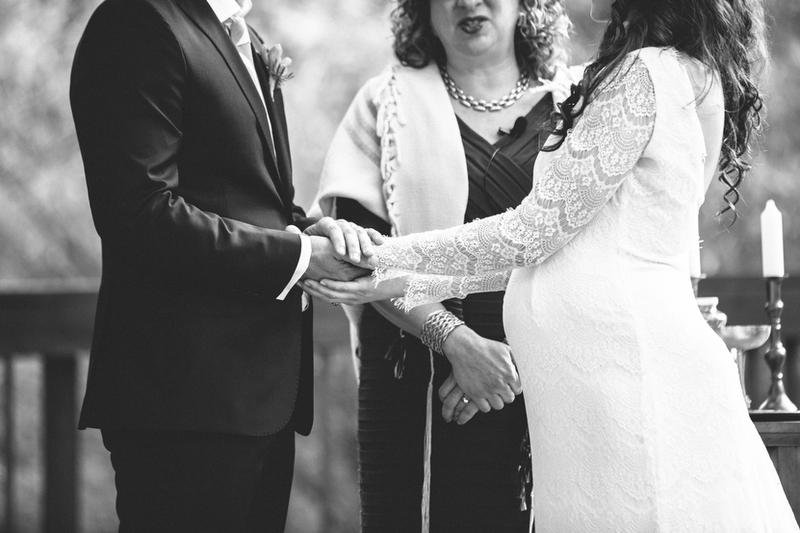 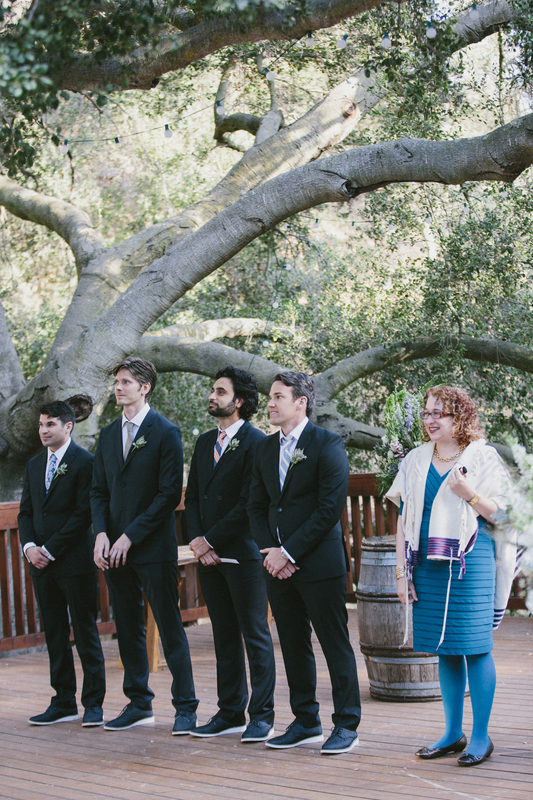 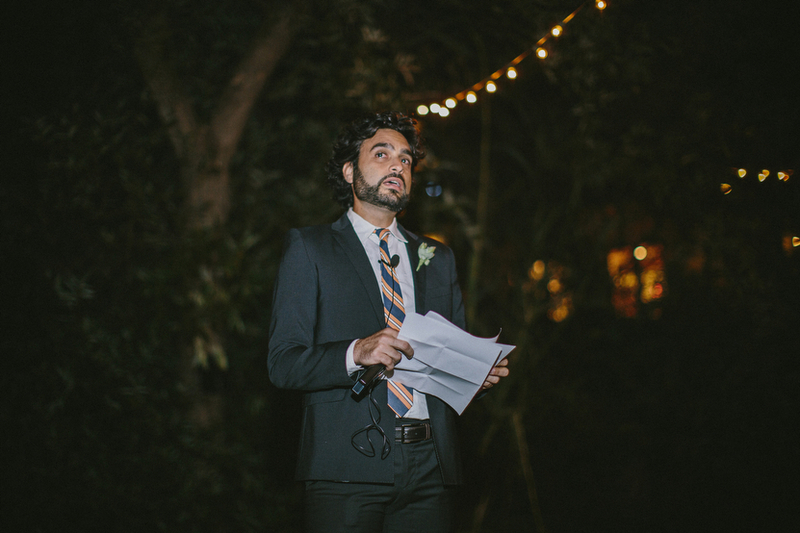 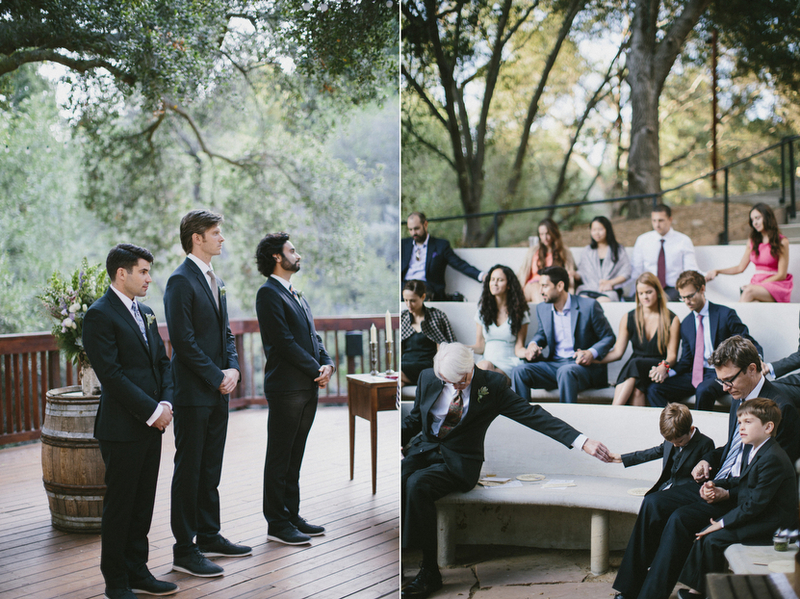 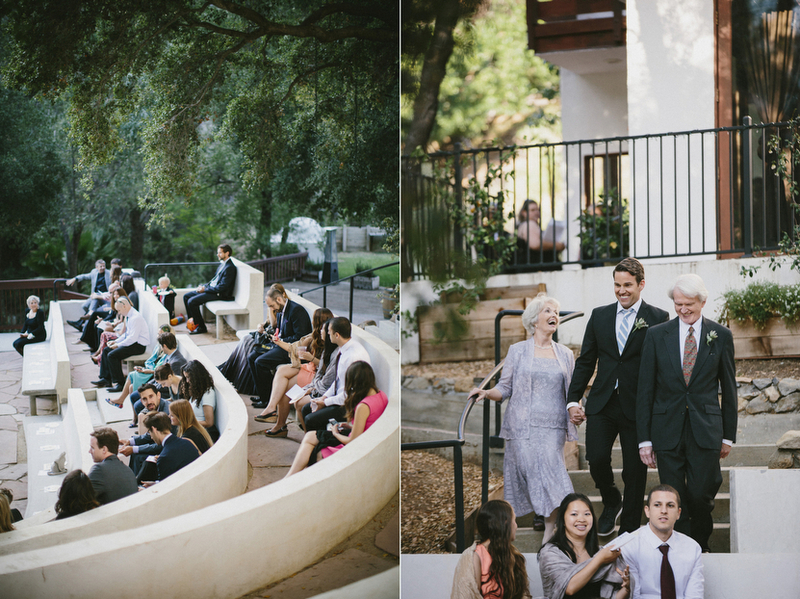 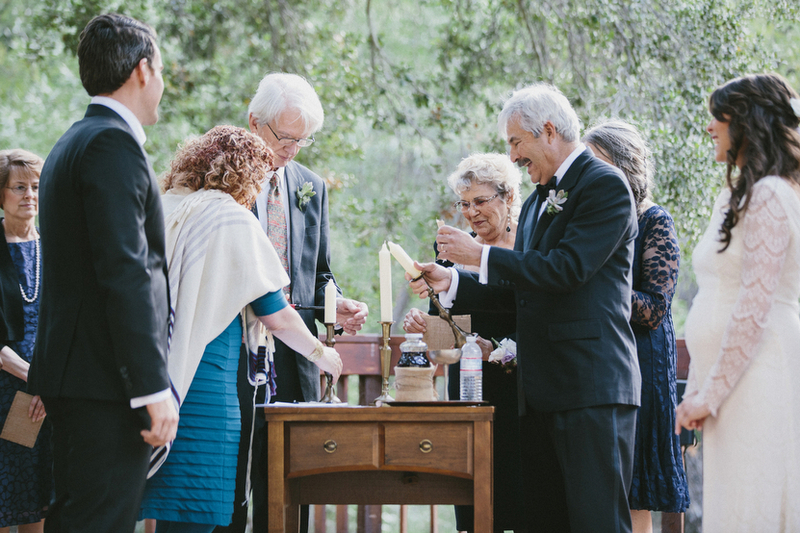 The interfaith ceremony was in an amphitheater under a canopy of oak trees with just 30 guests. 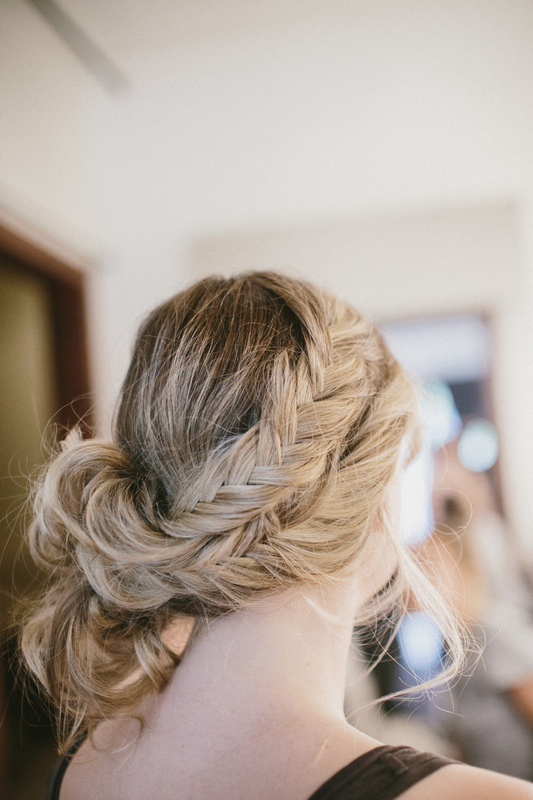 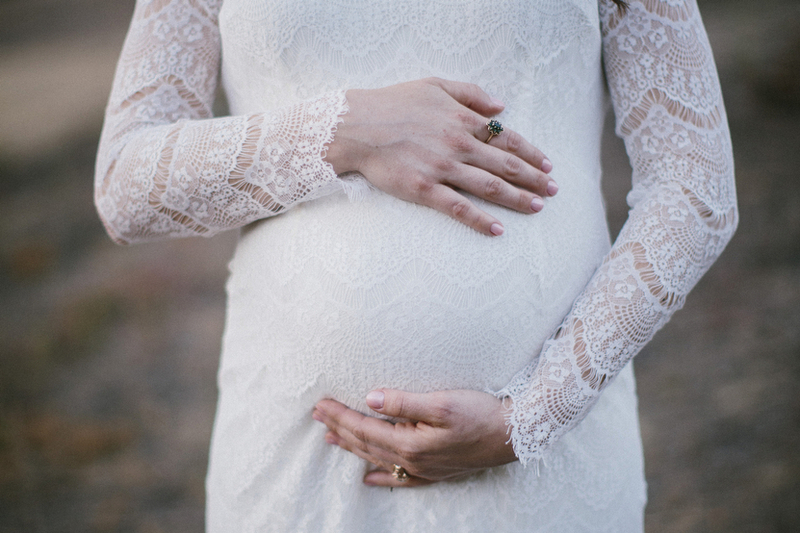 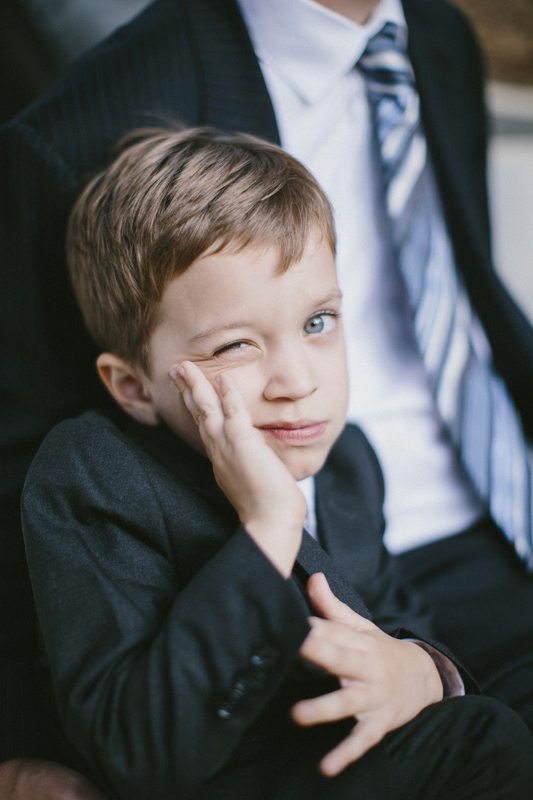 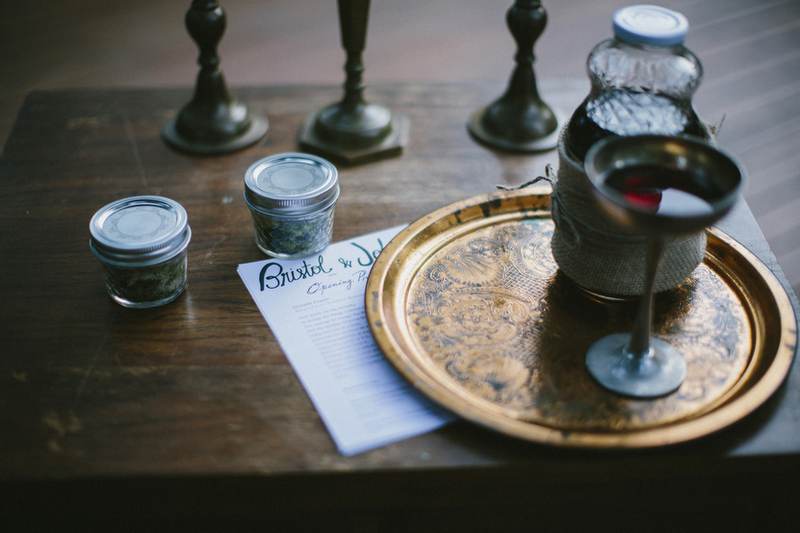 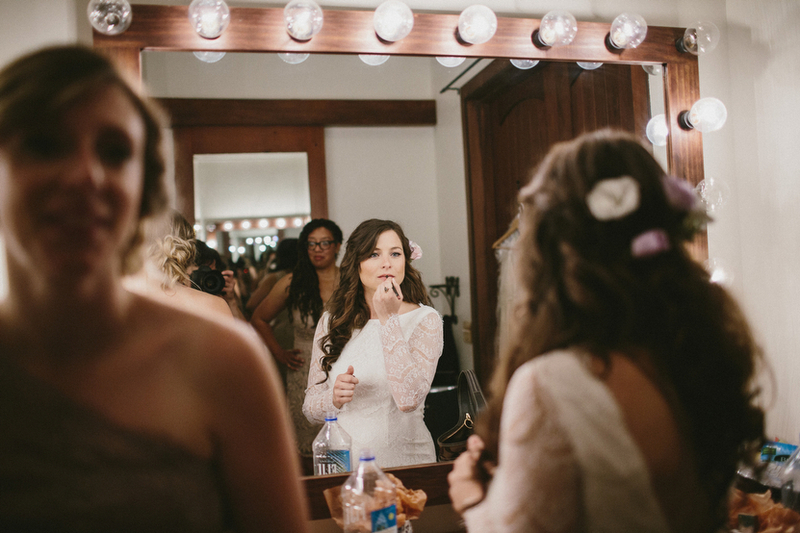 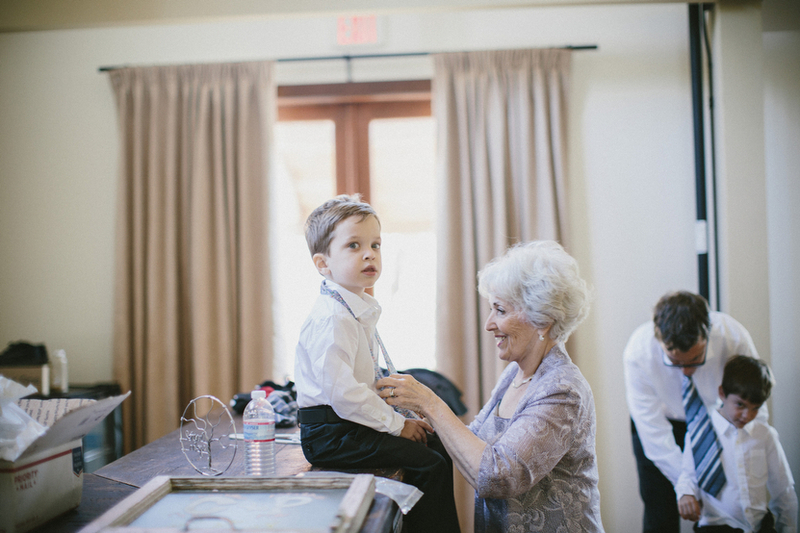 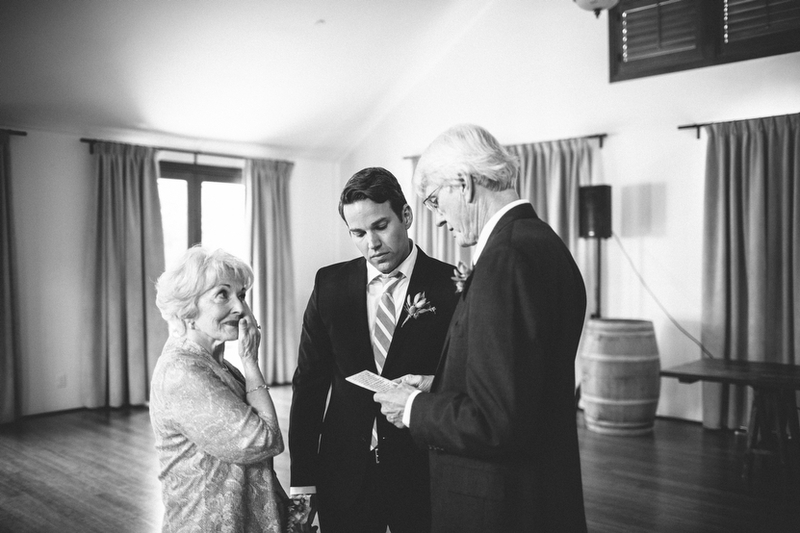 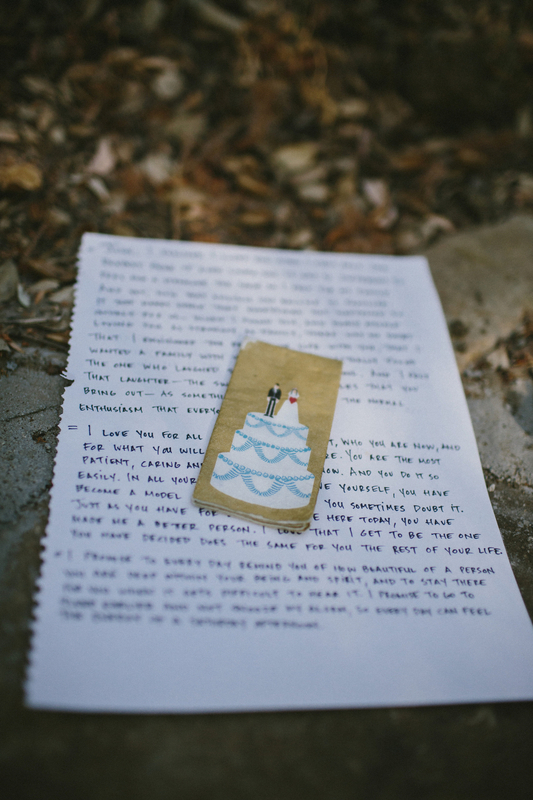 Please head on over to A Practical Wedding for more of the story in the bride’s own words.